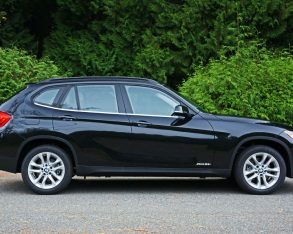 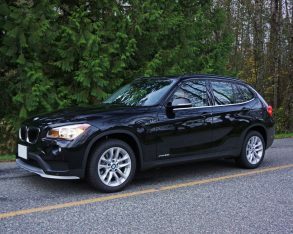 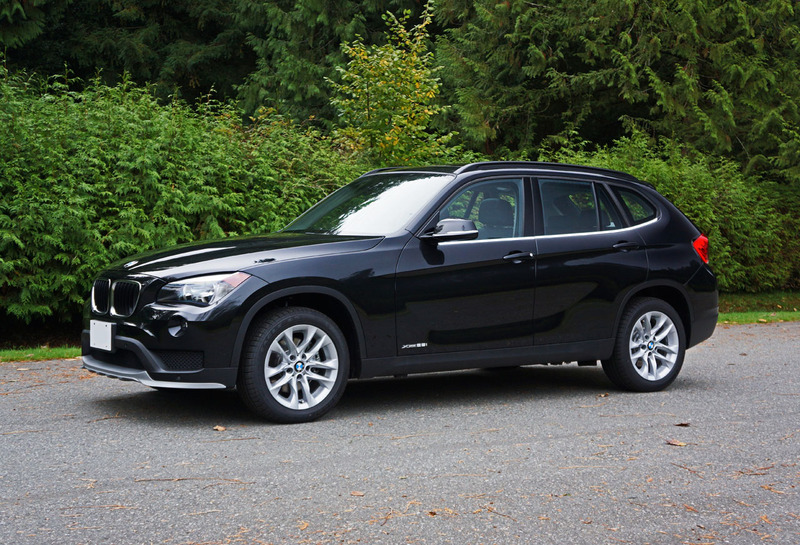 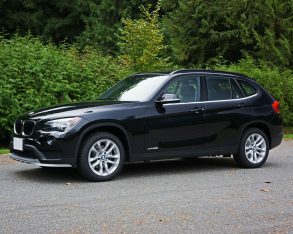 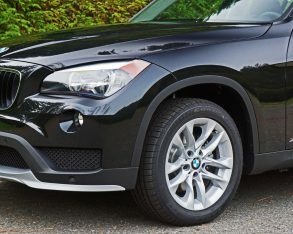 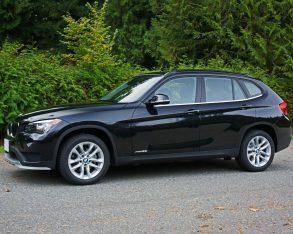 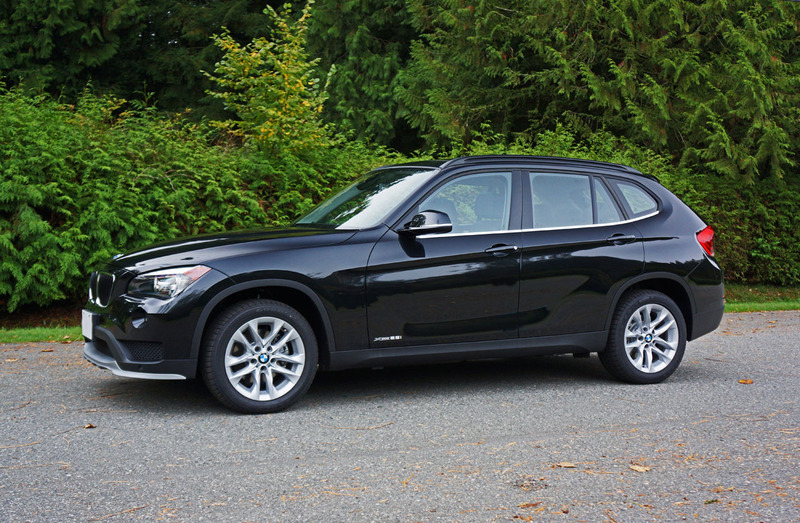 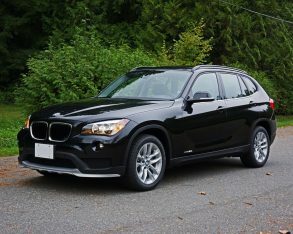 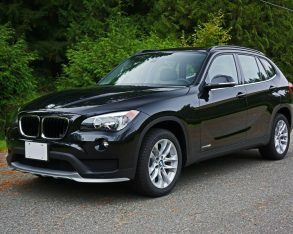 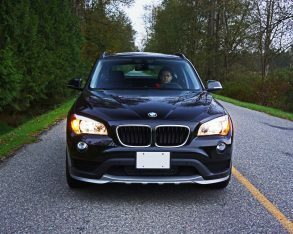 There’s only one compact crossover SUV that’s more fun to drive than the BMW X1 xDrive28i, and that’s the BMW X1 xDrive35i. 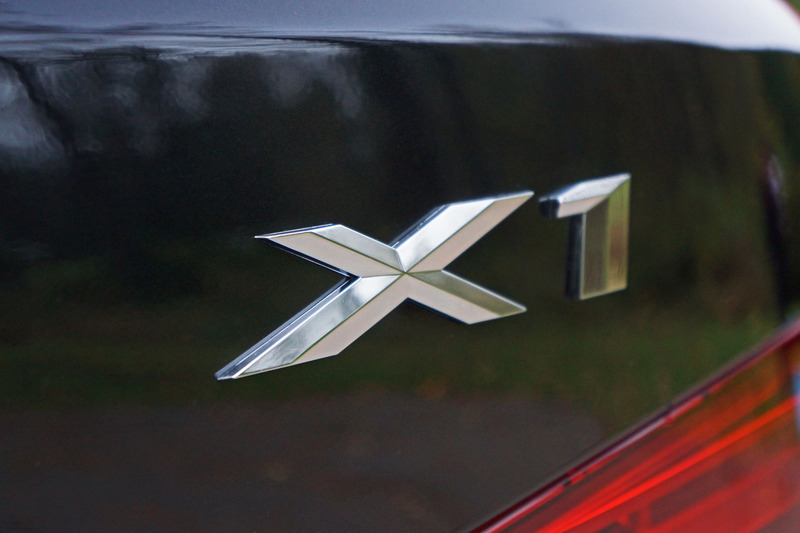 Although with no straight-six powered X1 available, I was happy to “settle” for the turbocharged four. 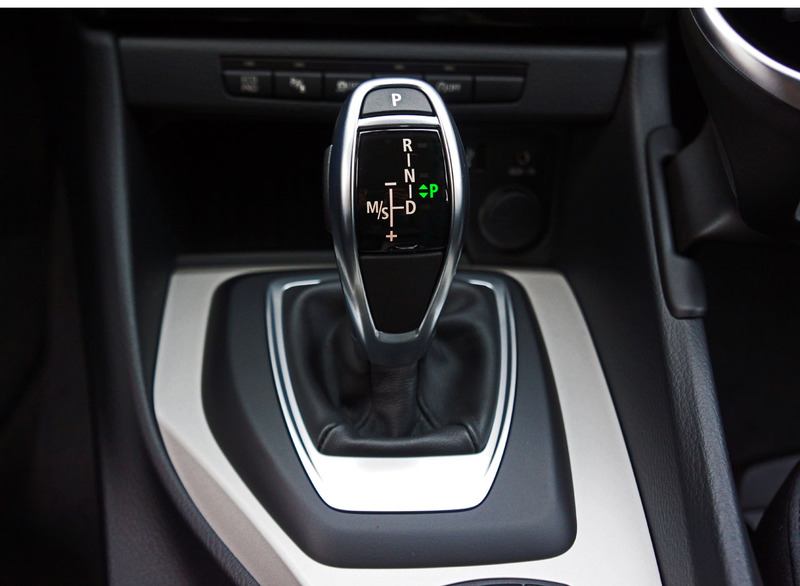 to throttle input. 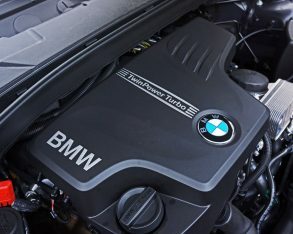 Certainly 59 more horsepower and 42 additional lb-ft of torque to make takeoff and passing performance more exciting, but between you, me and the fencepost that really doesn’t excite me as much as it used to. 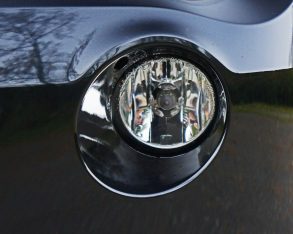 geopolitical whims of the world’s oil producers. 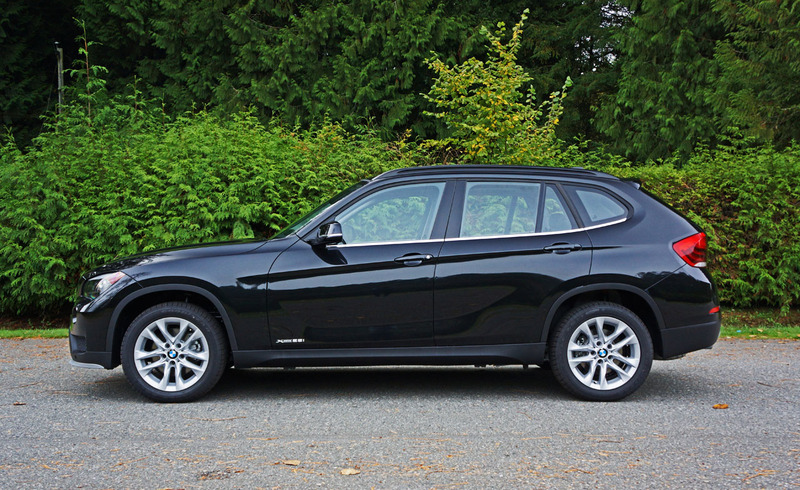 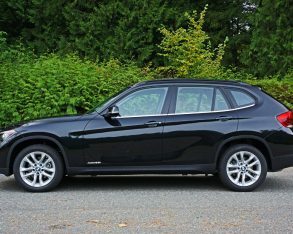 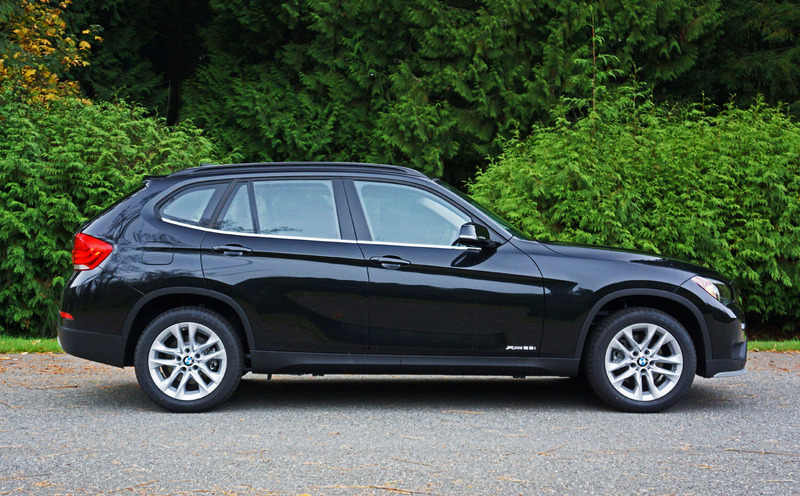 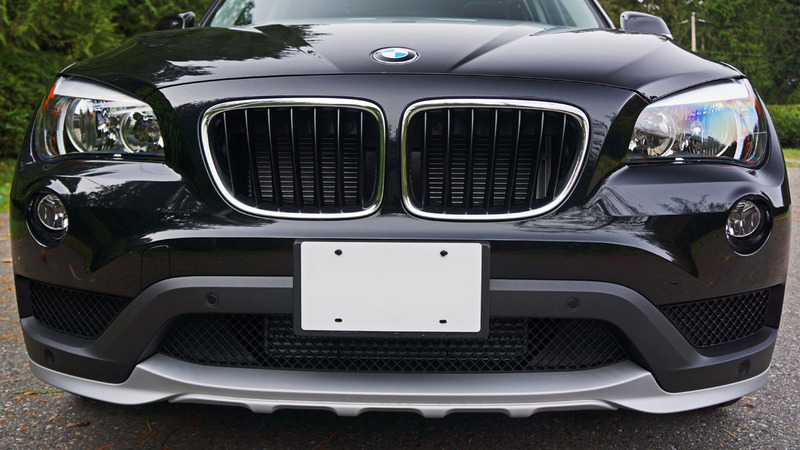 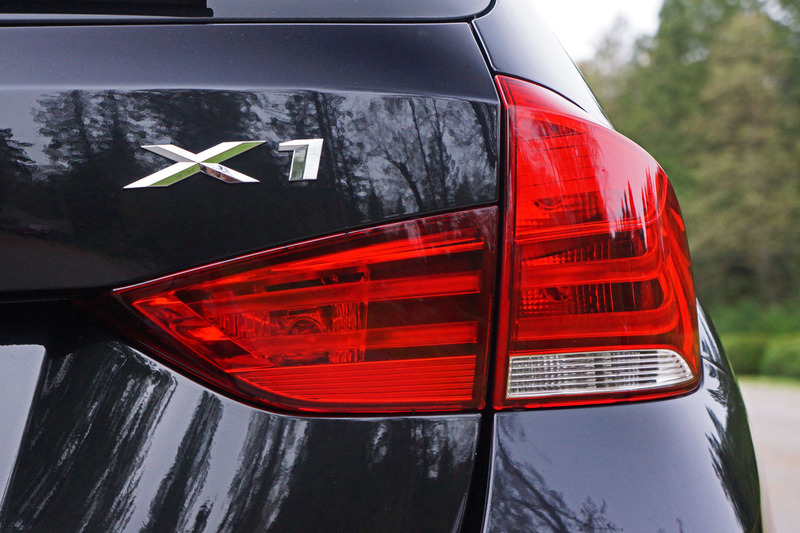 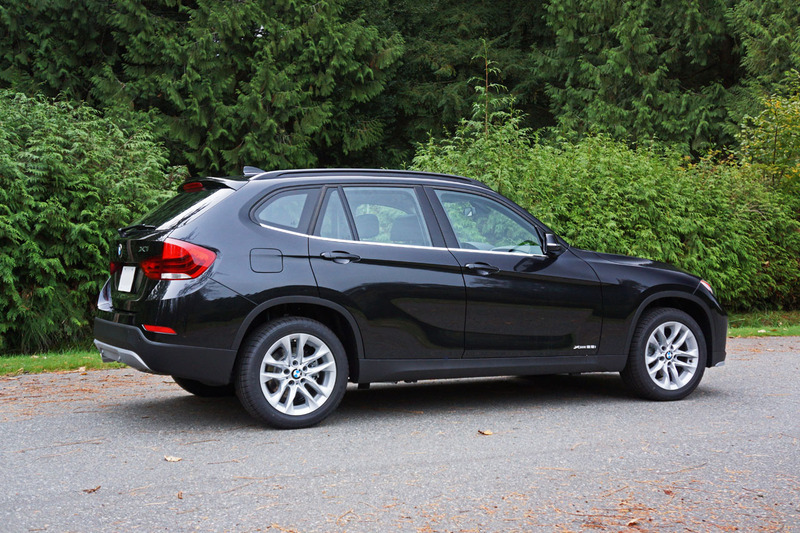 The X1 xDrive28i is a “have your cake and eat it too” kind of CUV anyway. 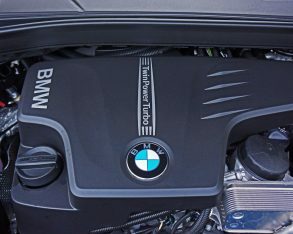 It’ll accelerate from standstill to 100km/h in an exhilarating 6.6 seconds (compared to an even more grin-inducing 5.6 seconds in the 35i) yet deliver very real claimed fuel economy numbers equaling 10.6 L/100km in the city, 7.6 on the highway and 9.1 combined (the 35i is rated at 13.2 city, 8.9 highway and 11.2 combined), as long as you don’t sprint off the line every time you leave a stoplight or cruise all day at its 205 km/h (127 mph) top-speed. 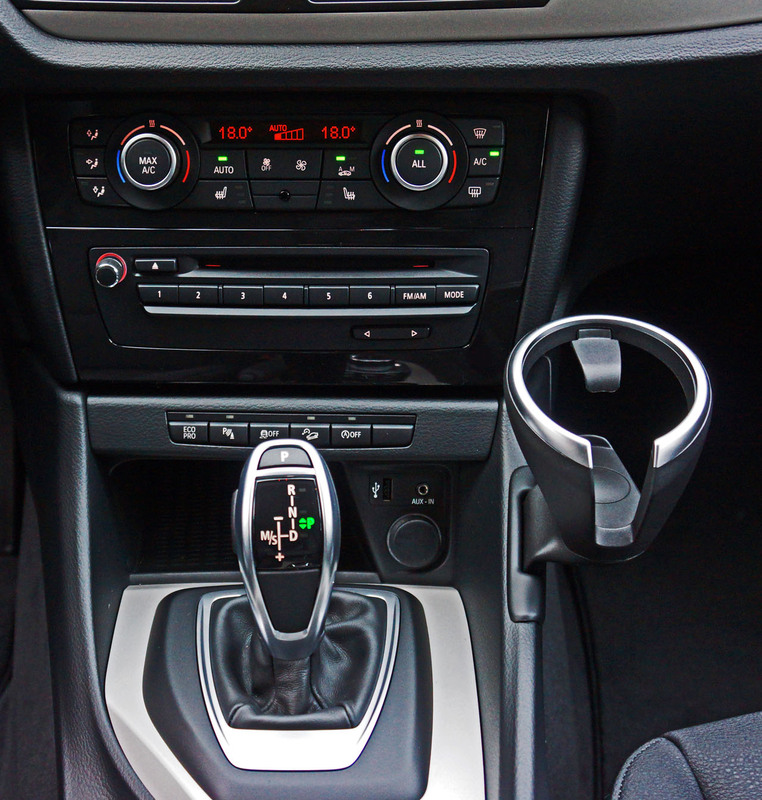 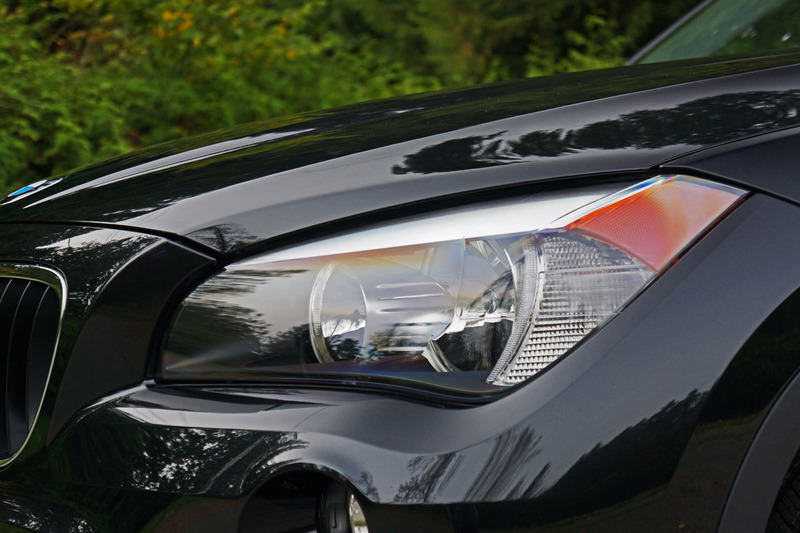 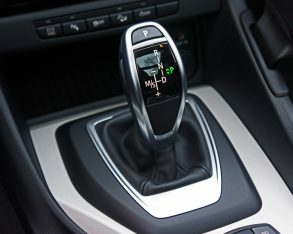 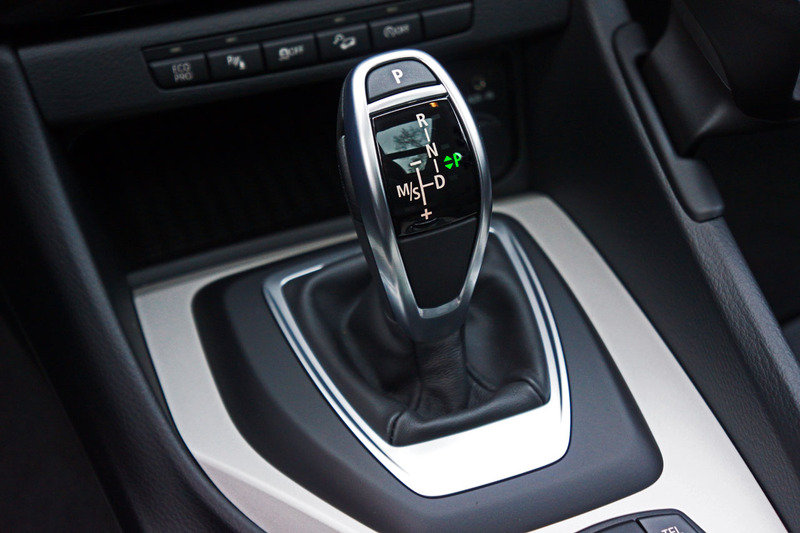 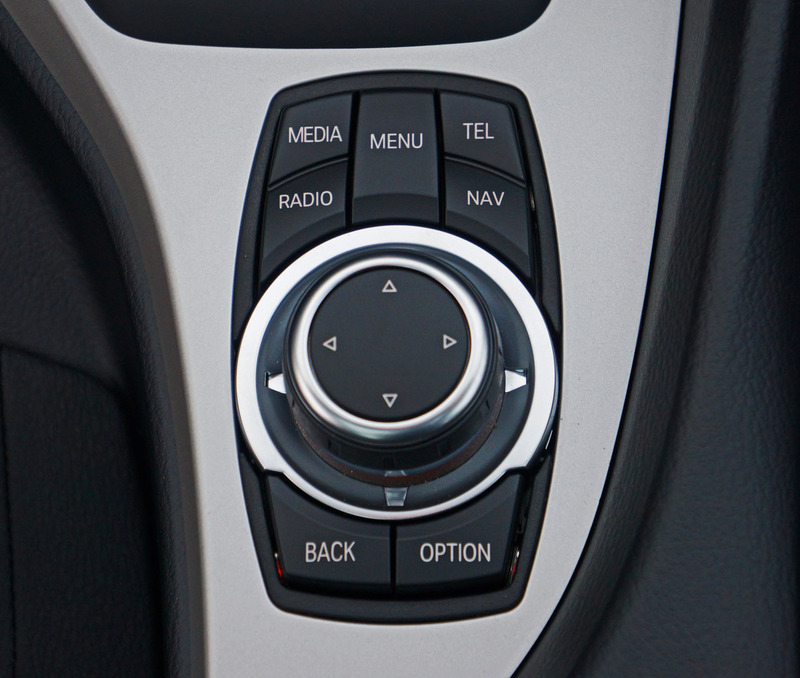 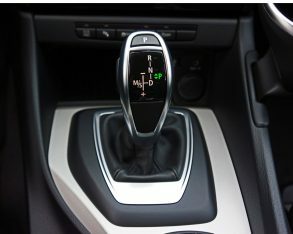 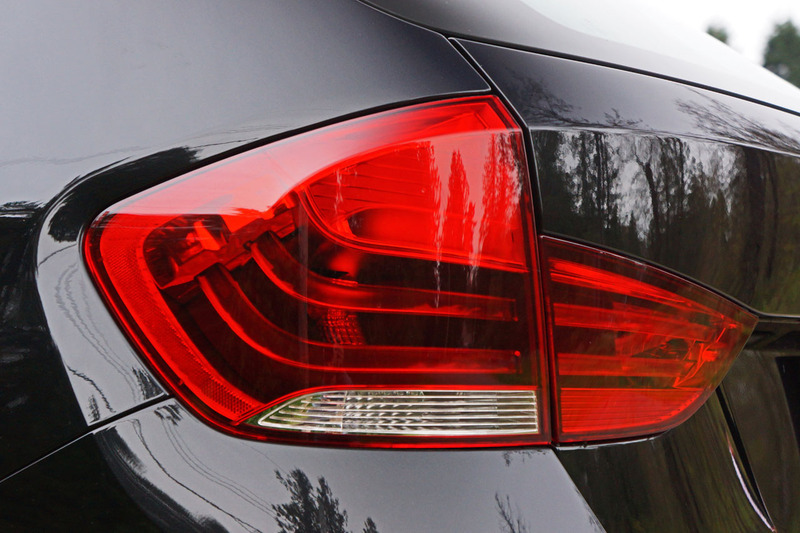 starting with a state-of-the-art smooth, quick-shifting and ultra-efficient eight-speed automatic transmission. 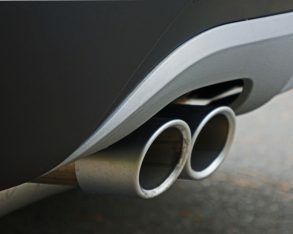 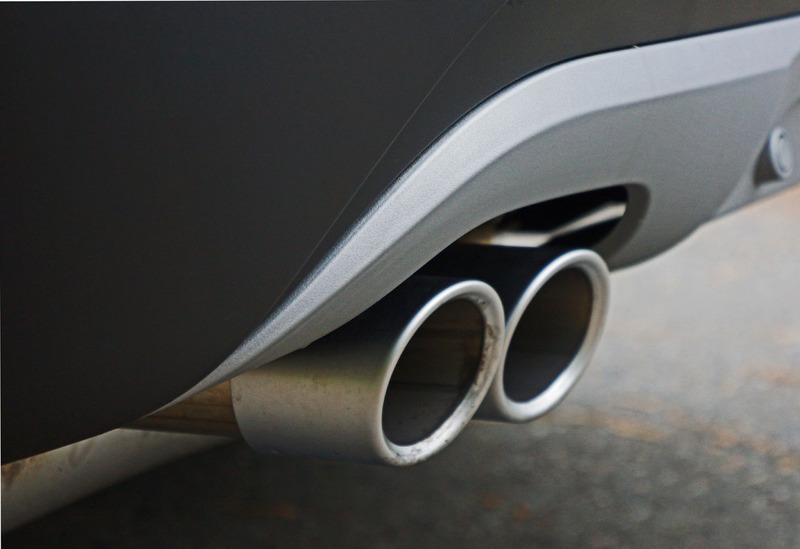 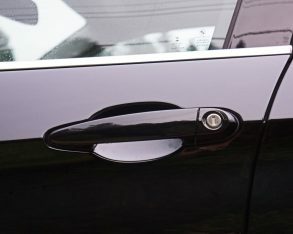 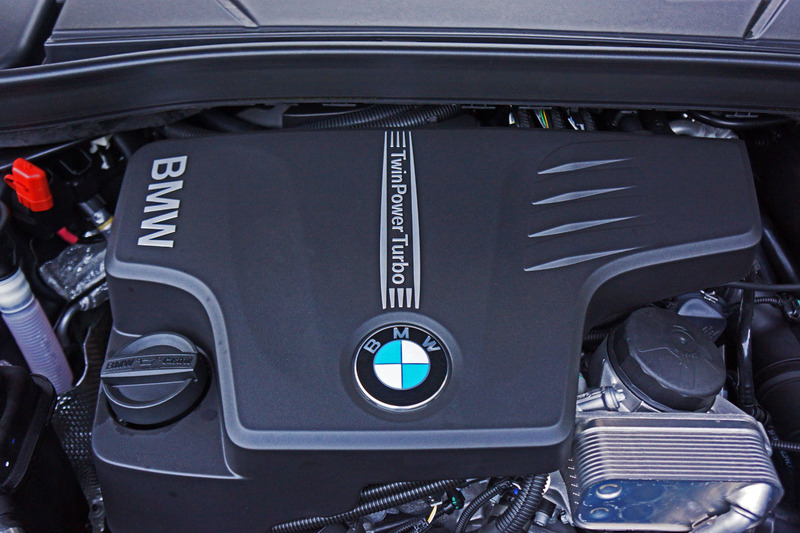 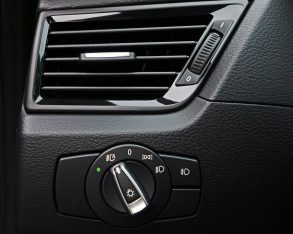 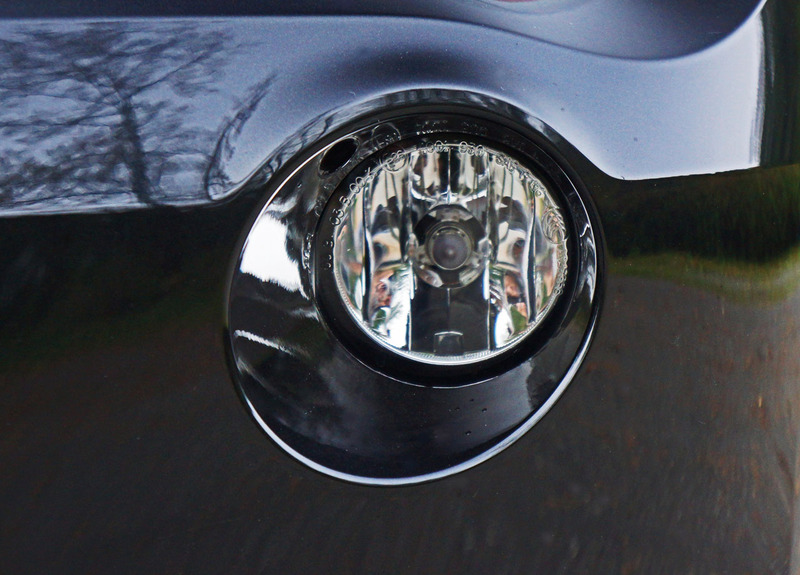 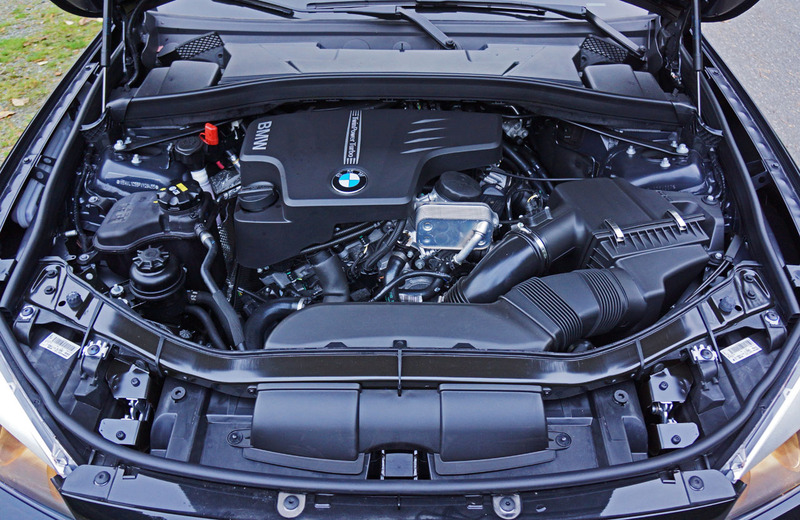 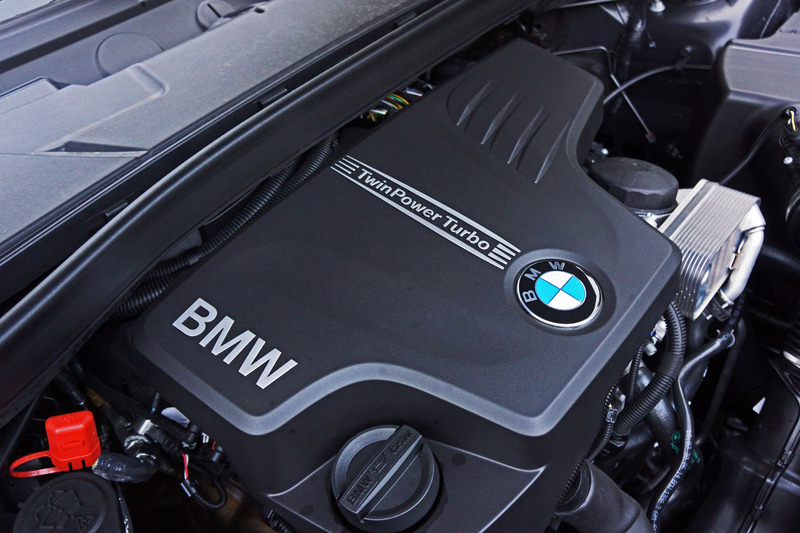 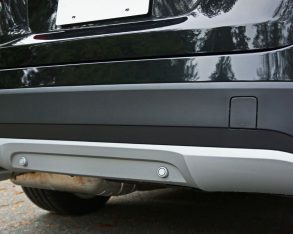 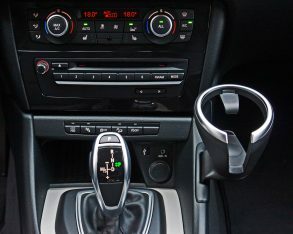 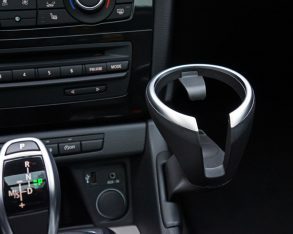 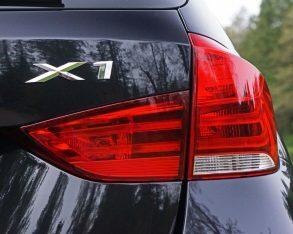 The X1 also incorporates idle-stop technology, which shuts the engine off when it would otherwise be wasting fuel and polluting surrounding air while idling; brake energy regeneration that extracts kinetic energy from braking and reroutes it into the car’s electrical system; and Eco Pro available via a button on the centre stack that, when selected, retards throttle input, automatically short-shifts the transmission to keep revs low, and performs other fuel-saving enviro-duties. it’s entirely up to you. 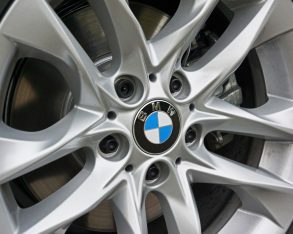 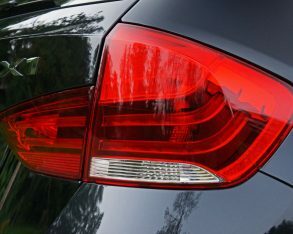 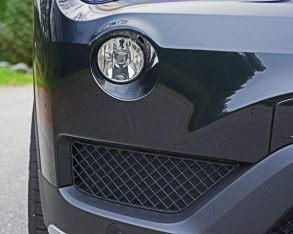 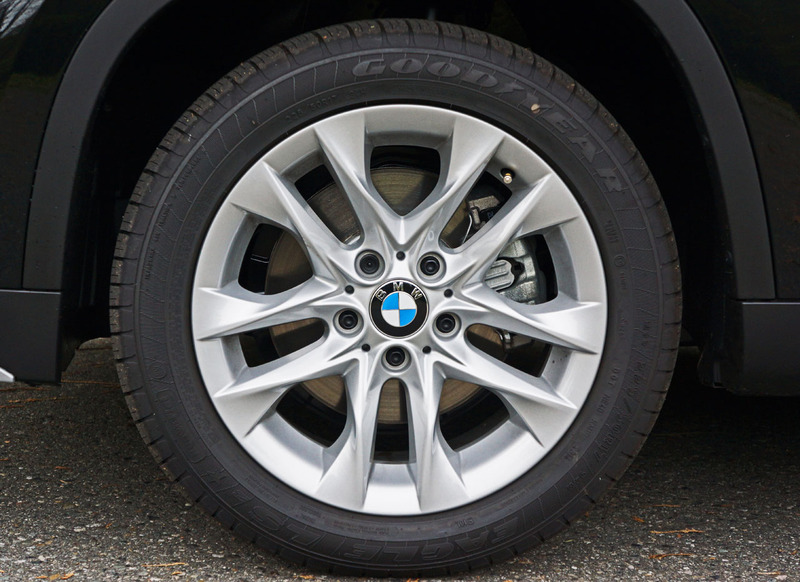 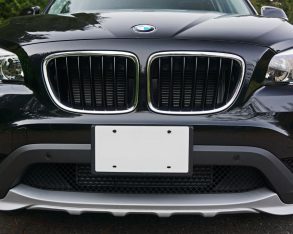 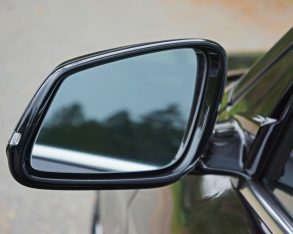 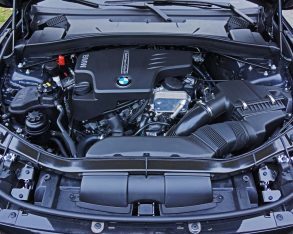 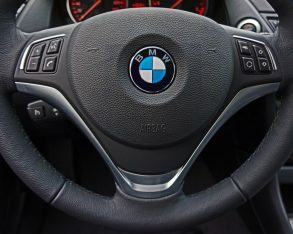 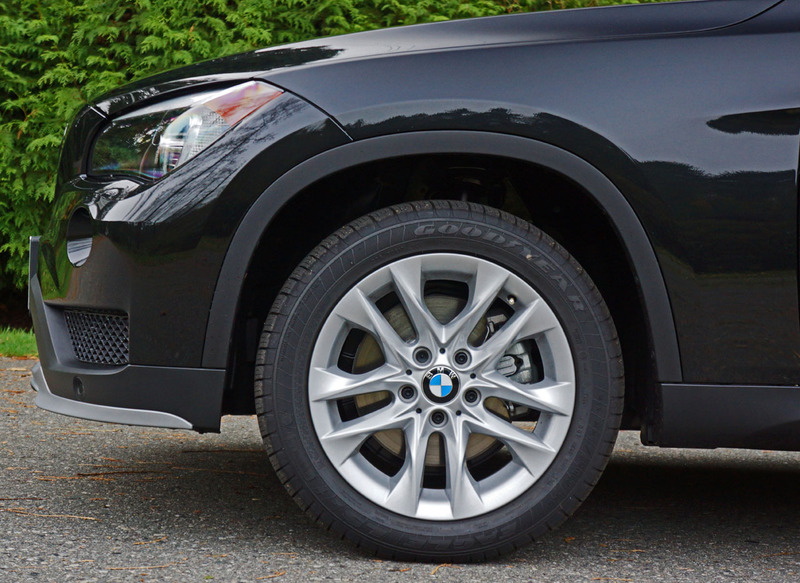 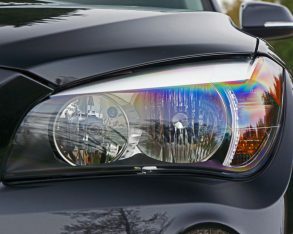 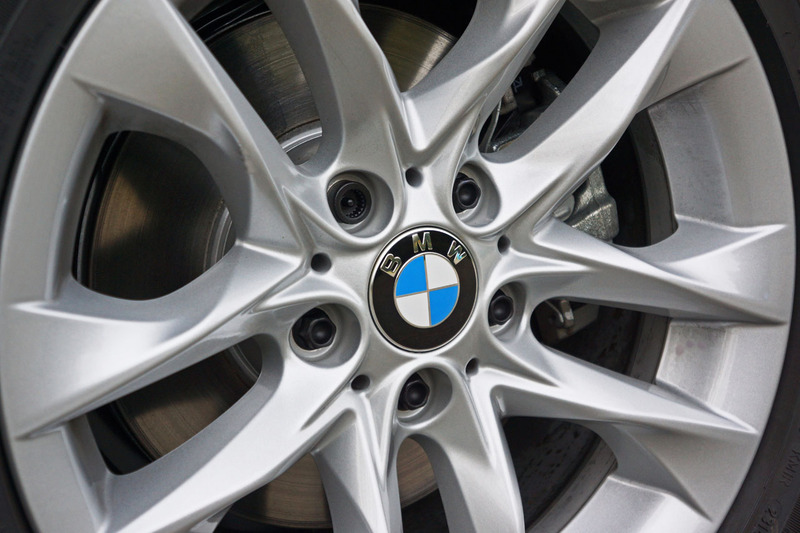 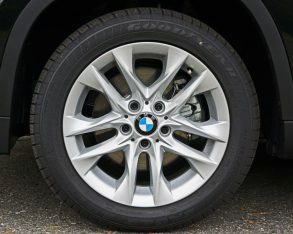 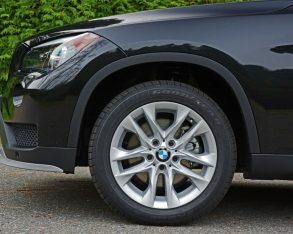 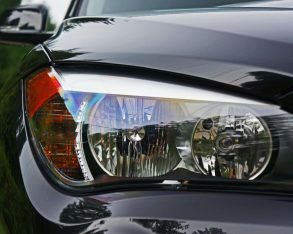 What I’m saying is the X1 is a BMW first and foremost, with its standard 17-inch alloy rims and 225/50R17 rubber planted firmly in the fast lane, requiring input from you the driver in order to make fuel-efficiency its number one priority, not the other way around like most of its rivals. 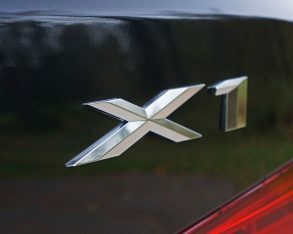 the X1 on its chosen trajectory, reacting to wheel slippage in milliseconds by adjusting the amount of torque apportioned to each axle, virtually eliminating oversteer (when the rear of the vehicle slides outwards) and understeer (when the front wheels lose traction and push forward), even on gravel or in snowy conditions. 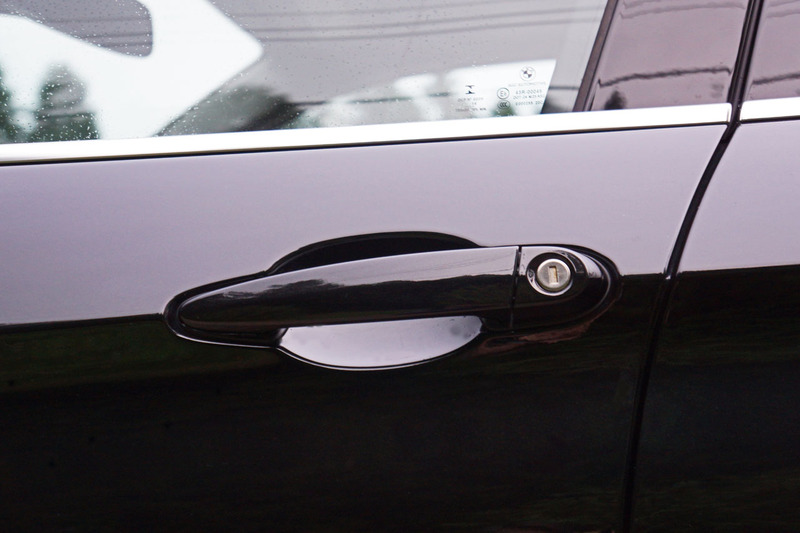 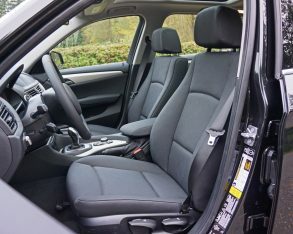 Standard traction and stability control assist in such situations too, while a full assortment of airbags make sure that all occupants are kept as safe as possible. 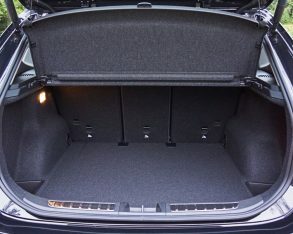 $35,990. 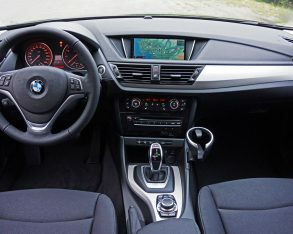 The smaller 228i Coupe is next in line at $36,000, while the little X1 is third most affordable with a starting price of $36,990, plus $2,095 for freight and pre-delivery prep across the line. 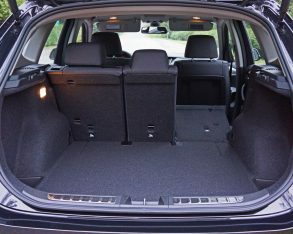 That’s about what you’d pay for a well-equipped mainstream compact CUV, incidentally, and a lot less than some. 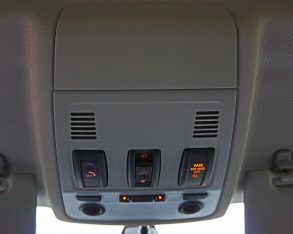 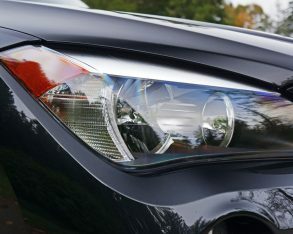 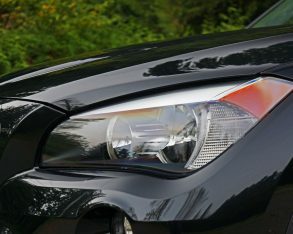 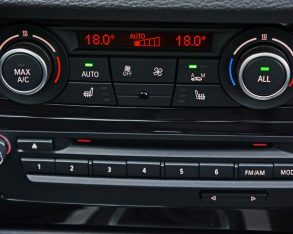 fog lights, roof rails, a leather-wrapped multifunction sport steering wheel, automatic headlamps, rain-sensing wipers, dual-zone automatic climate control, AM/FM/CD/MP3/WMA audio with USB and aux plugs, Bluetooth phone and audio wireless connectivity, three-way heated front seats, a sliding front centre armrest, and most impressive, the standard inclusion of dynamic cruise control. 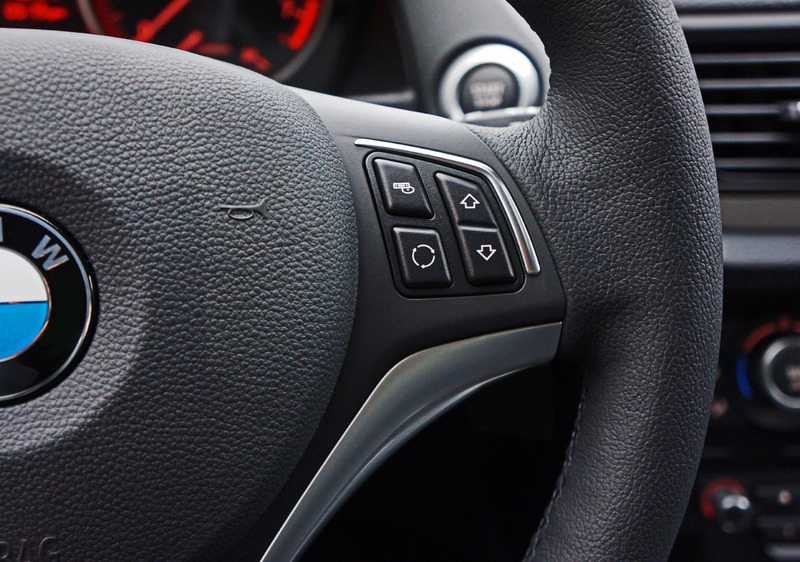 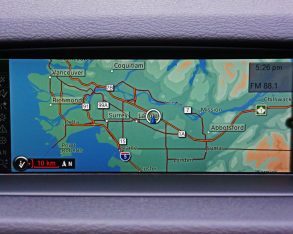 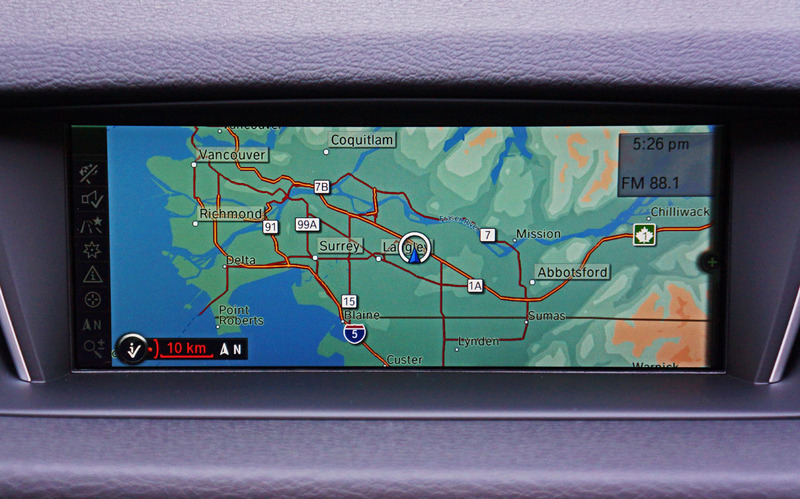 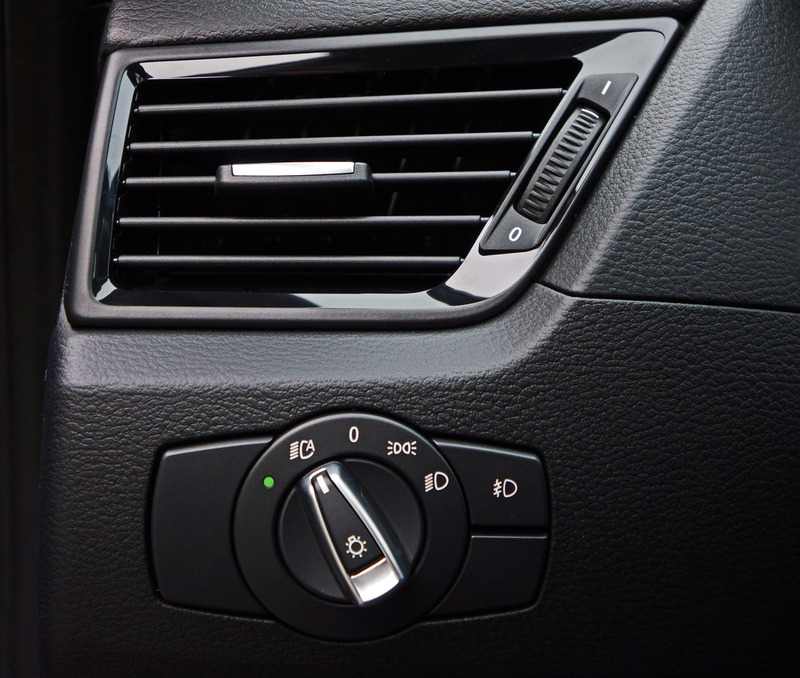 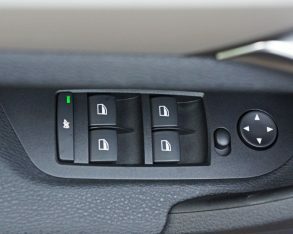 Dynamic cruise control turns what could otherwise be a tiresome trip into a relaxing journey. 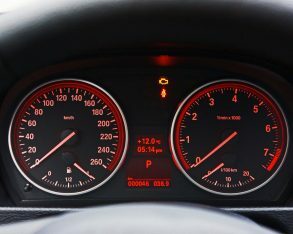 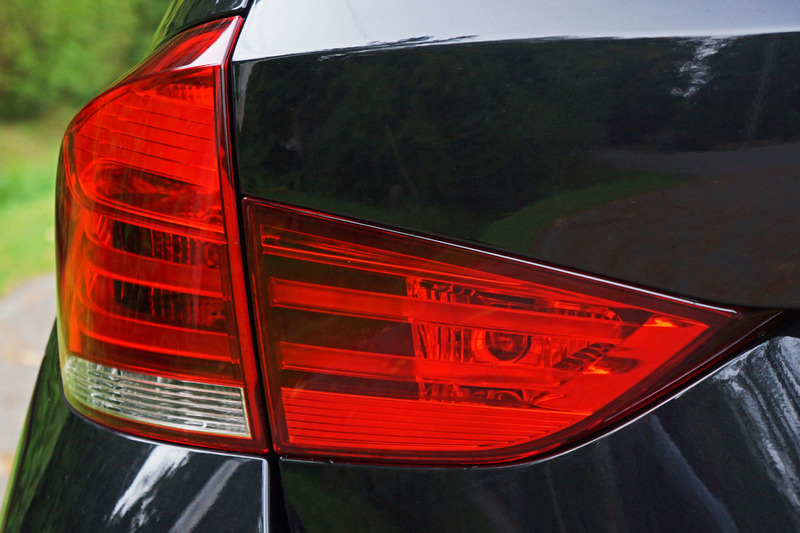 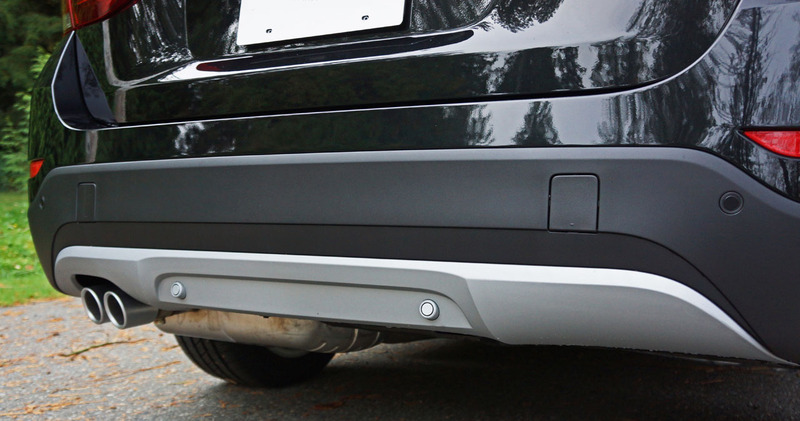 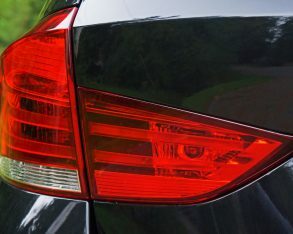 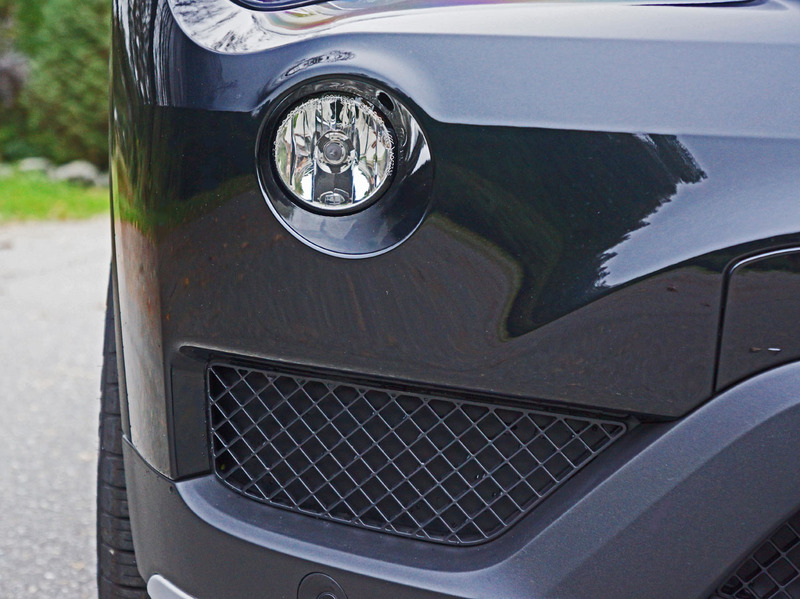 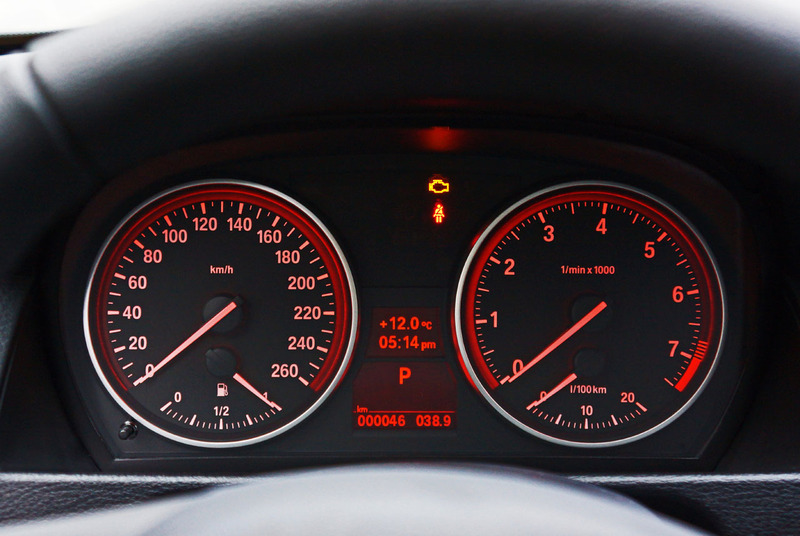 It automatically maintains a preset distance (that you can adjust) between your front bumper and the vehicle ahead, braking when needed and applying the throttle to bring you back up to your chosen speed when required. 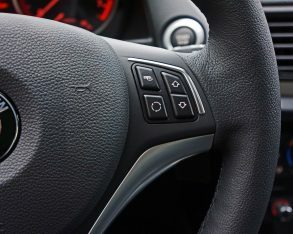 All you have to do is steer and pay attention. 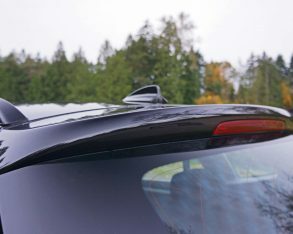 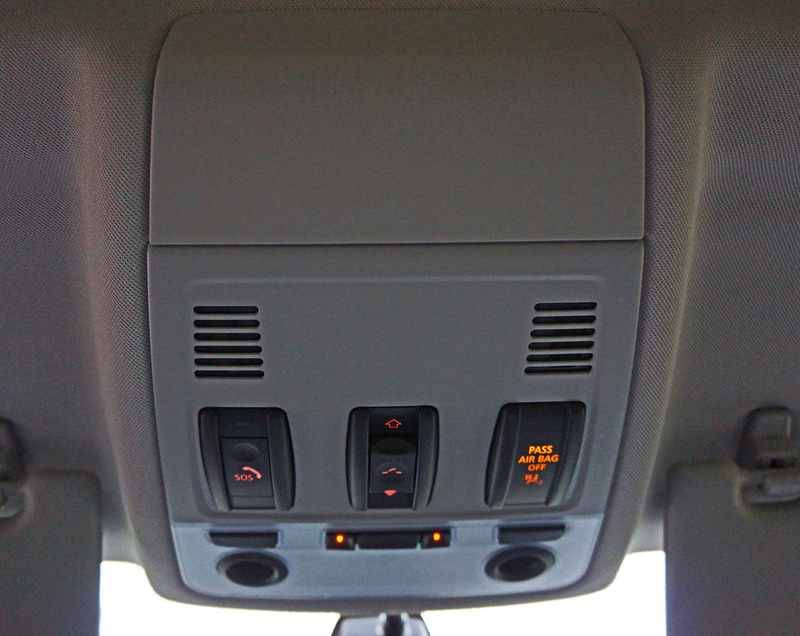 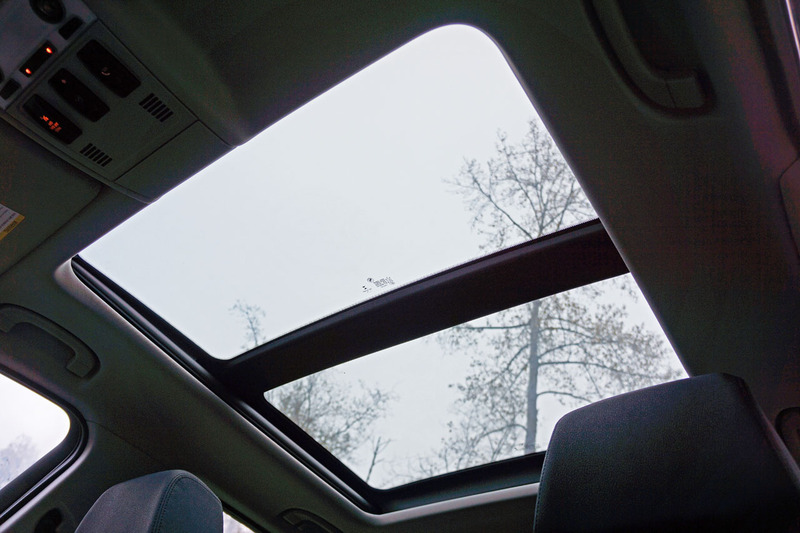 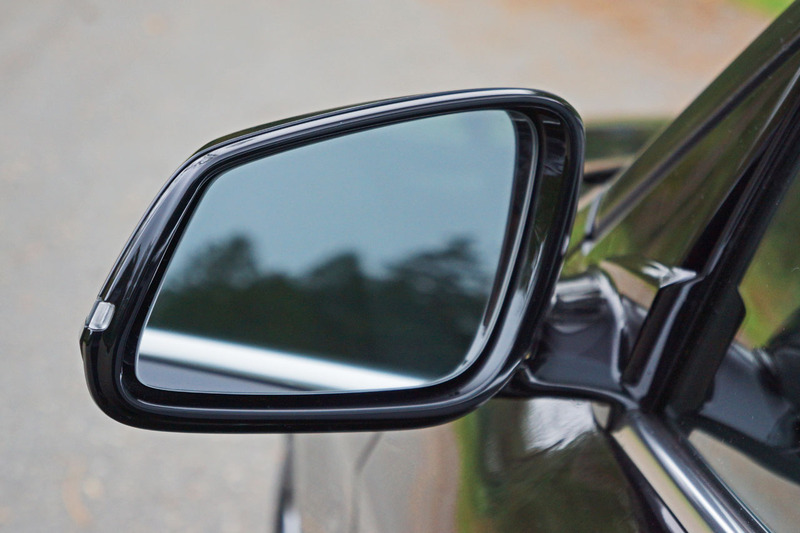 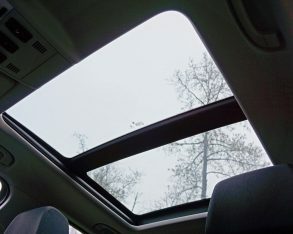 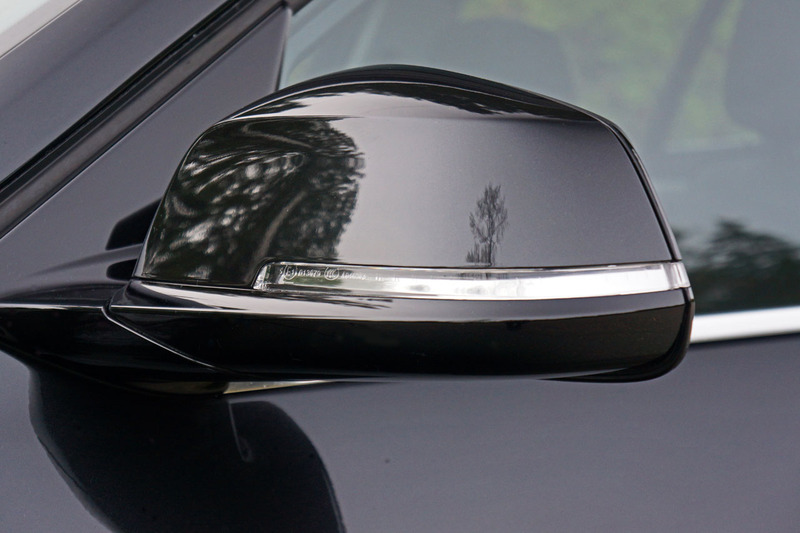 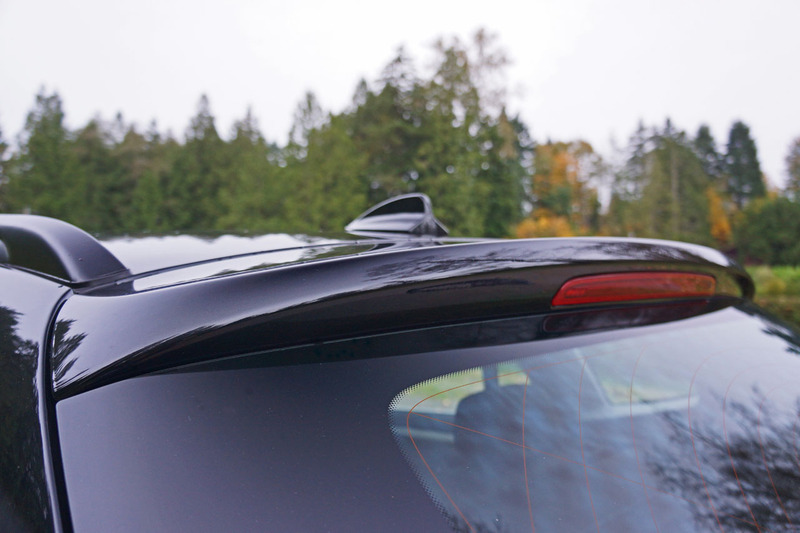 front and rear Park Distance Control, and sheds light on the X1’s attractive cabin through a big panoramic sunroof. 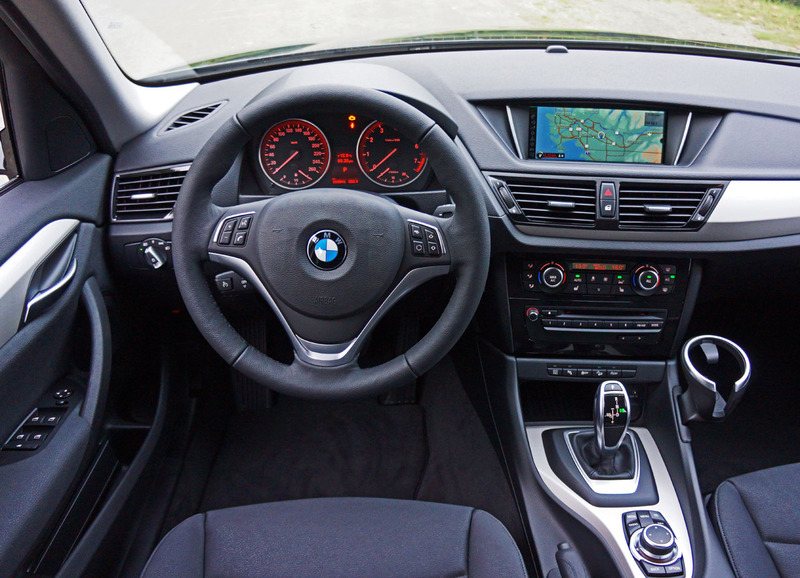 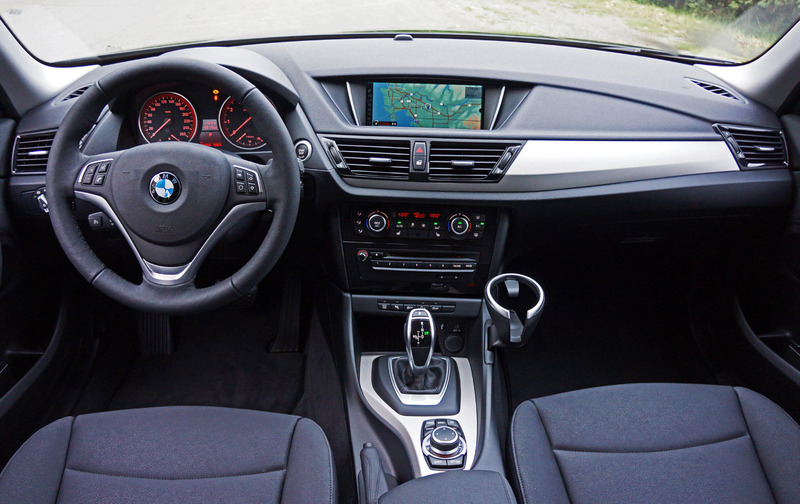 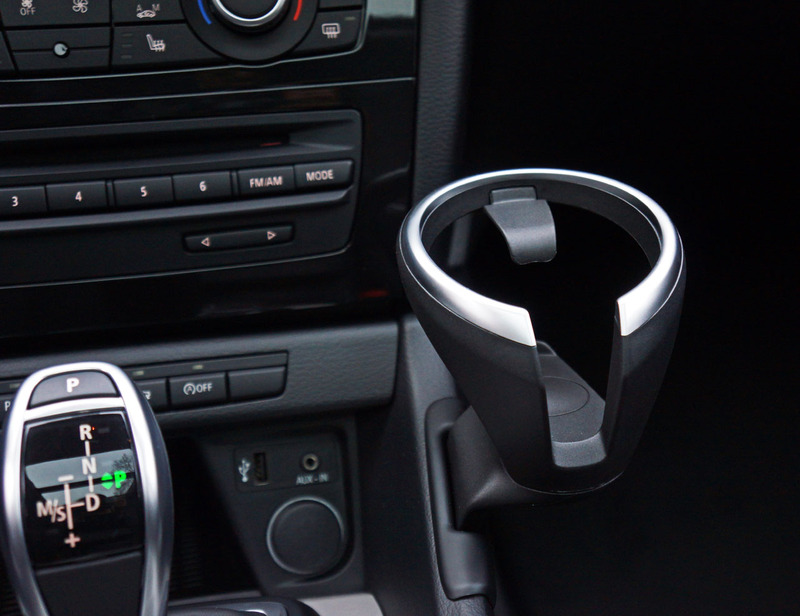 Yes, it’s a nice looking interior, as you might expect from BMW. 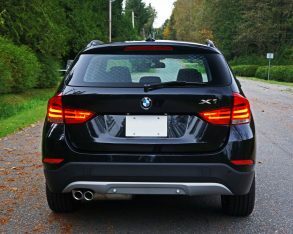 Materials quality is pretty good compared to premium peers albeit not as impressive as the newly updated X3 or X5, while the design still looks fresh and modern despite not having had a major update since the X1 arrived here in 2011 as a 2012 model. 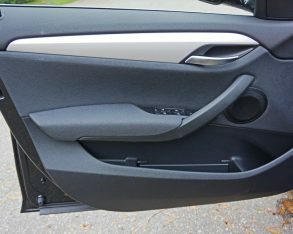 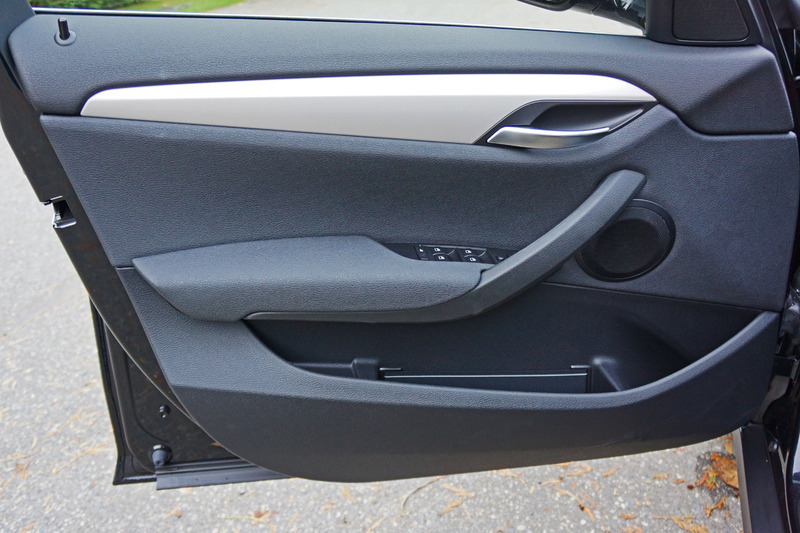 My tester was devoid of optional wood trim, but I think the wide strips of aluminum gracing the dash and doors suit this small, sporty SAV better. 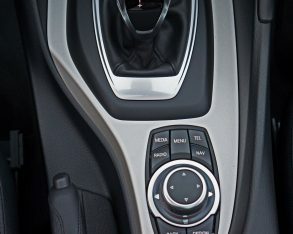 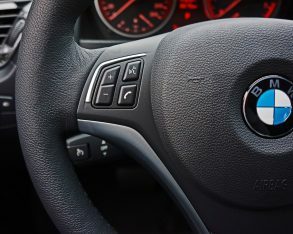 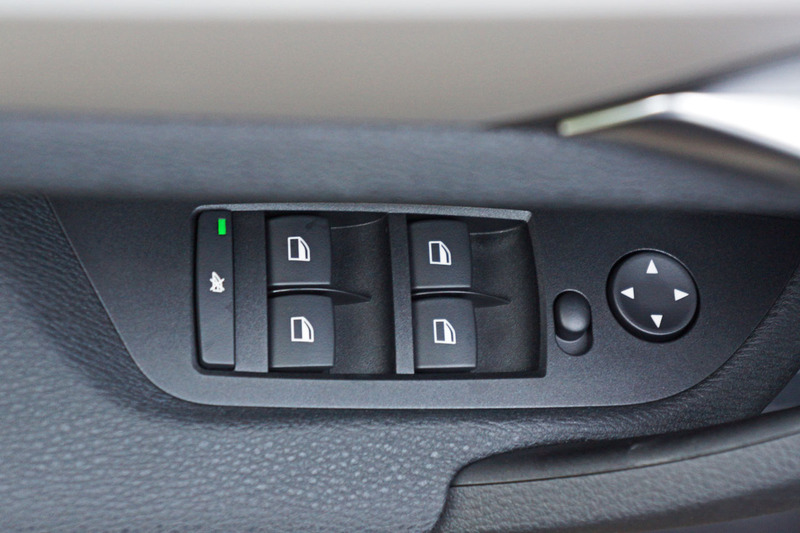 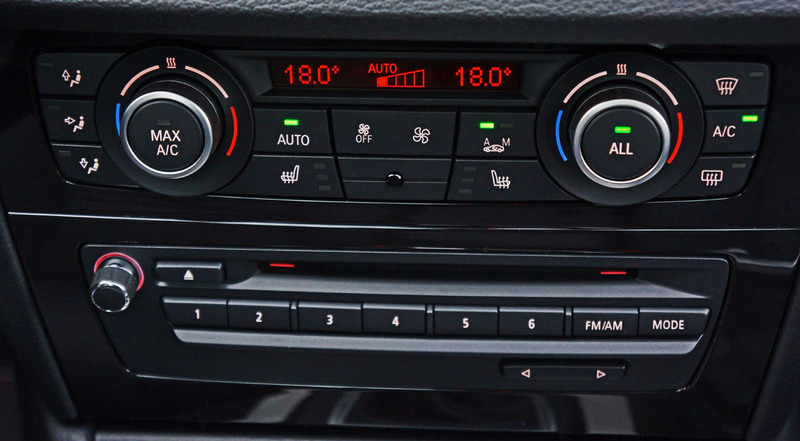 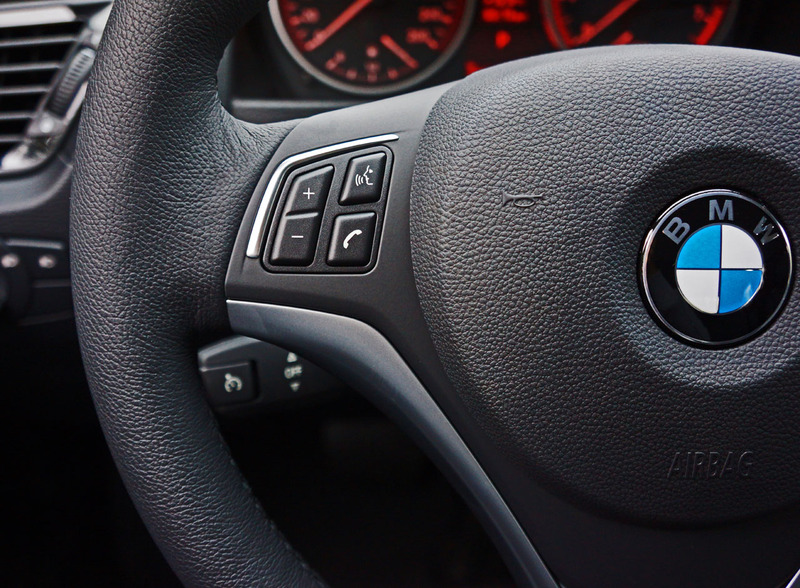 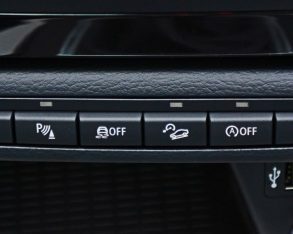 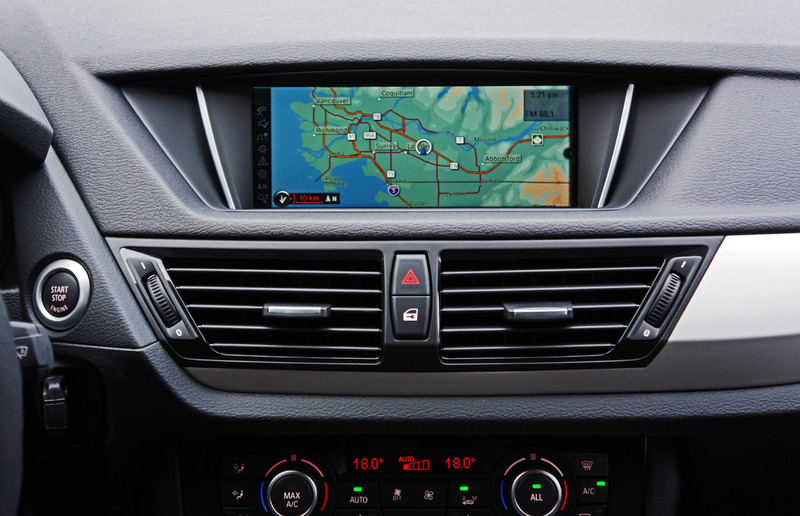 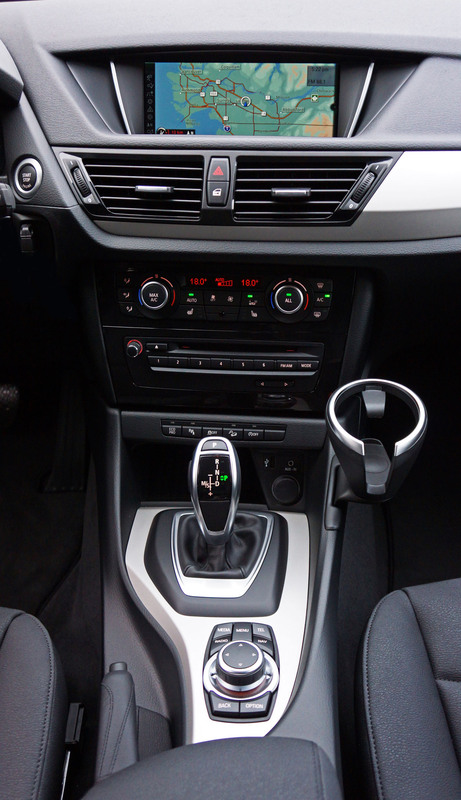 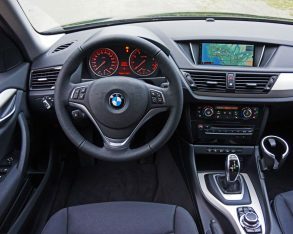 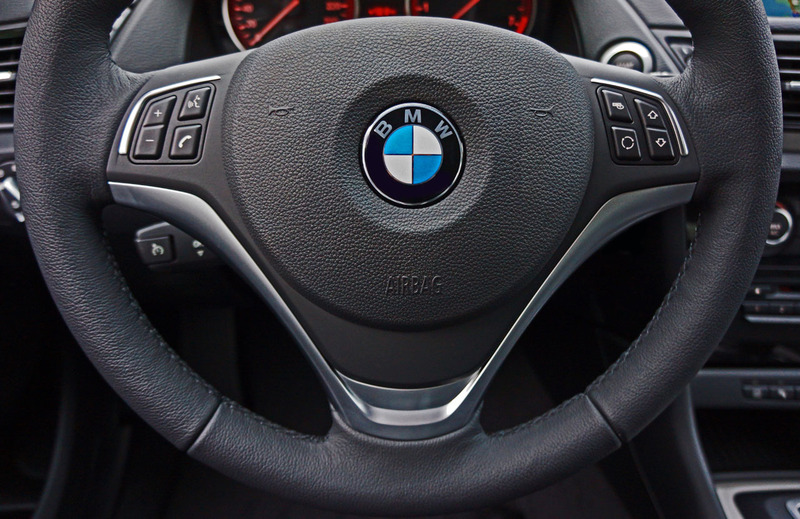 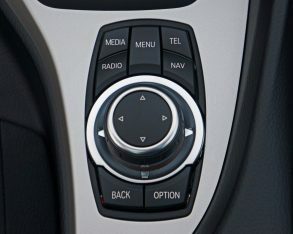 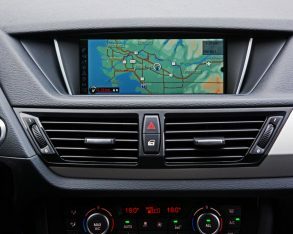 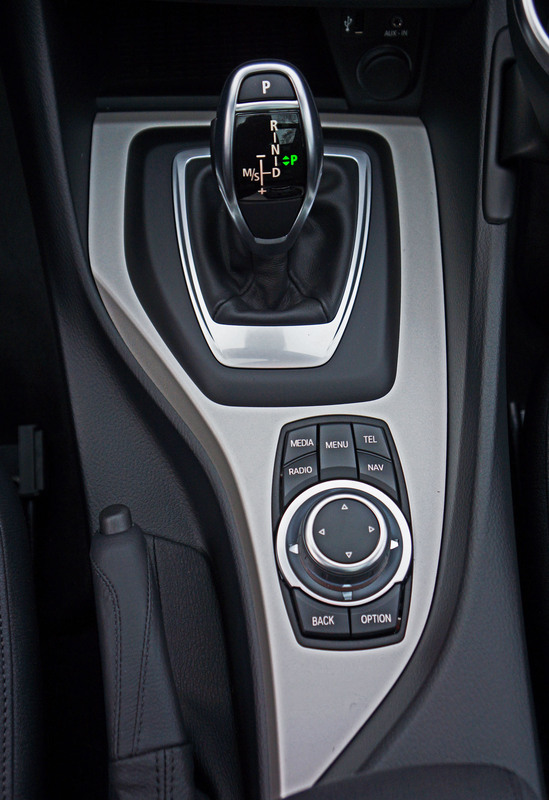 All of the switchgear is top-grade, nicely damped and ideally fitted together, highlighted by BMW’s iDrive infotainment controller that’s so much more intuitive to operate than early examples of the system that I’m happy to go on record saying its now industry-leading. 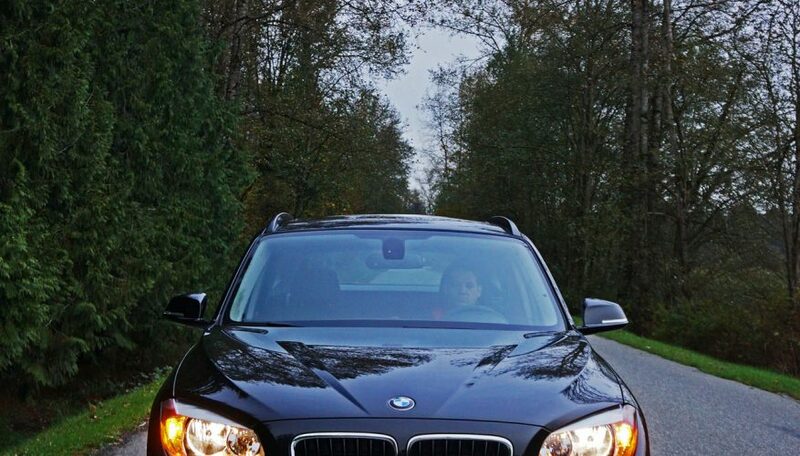 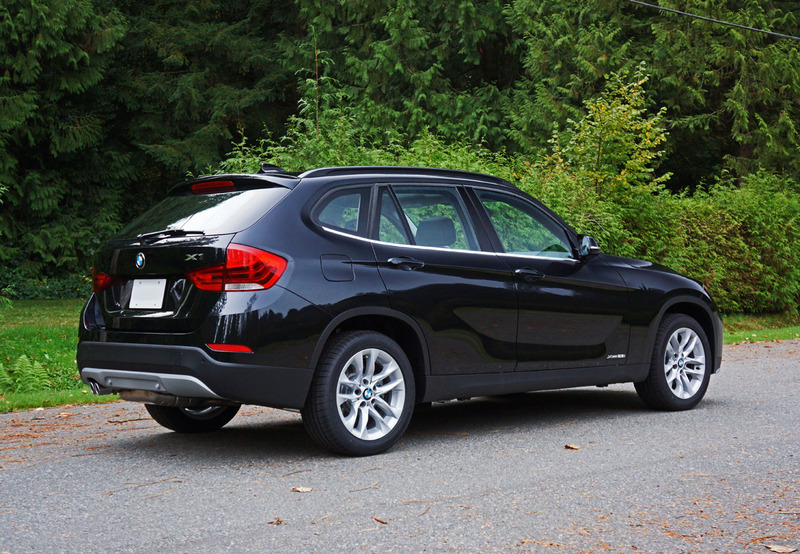 you’re looking for industry leading passenger room or cargo capacity the X1 is not your ride, mind you. 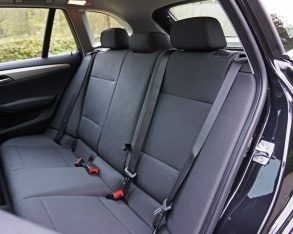 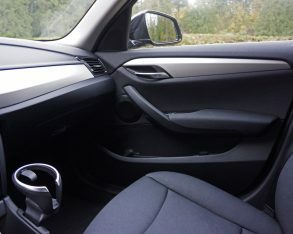 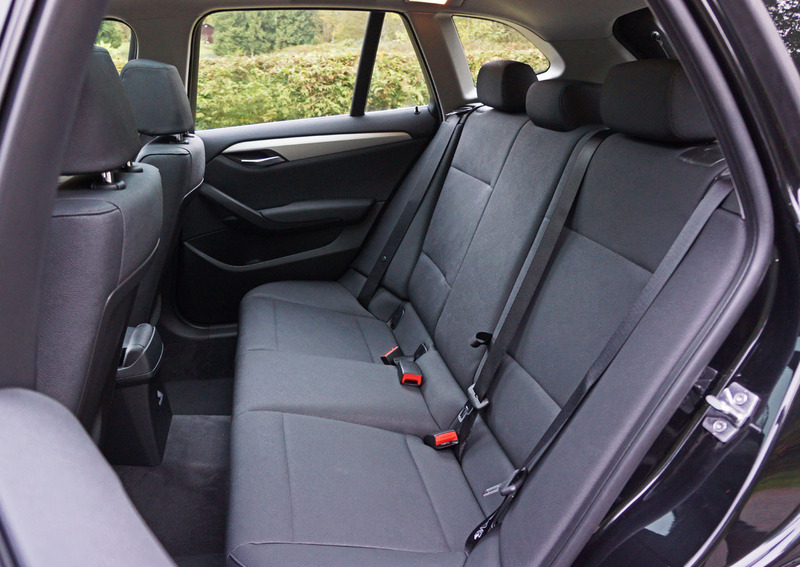 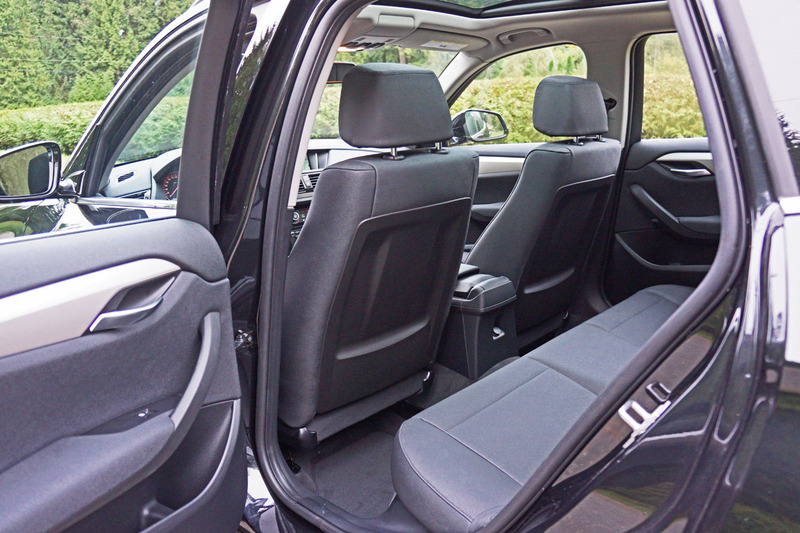 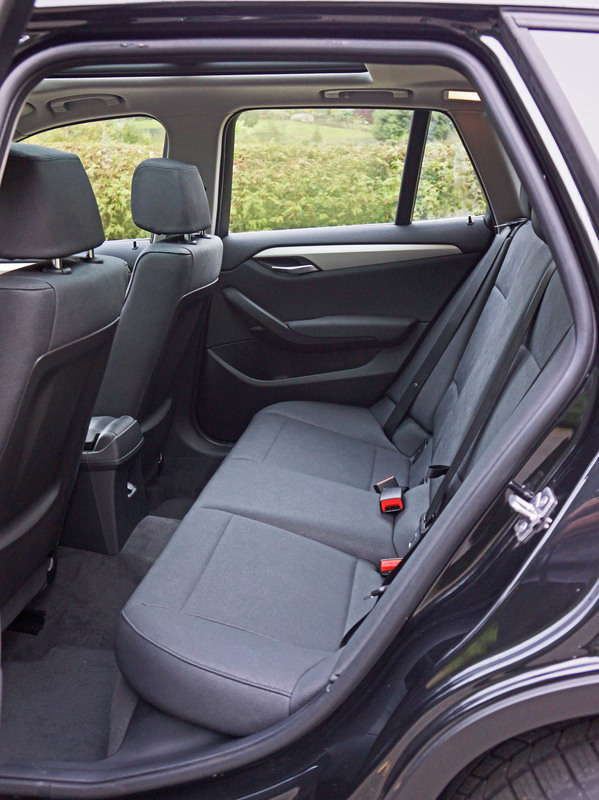 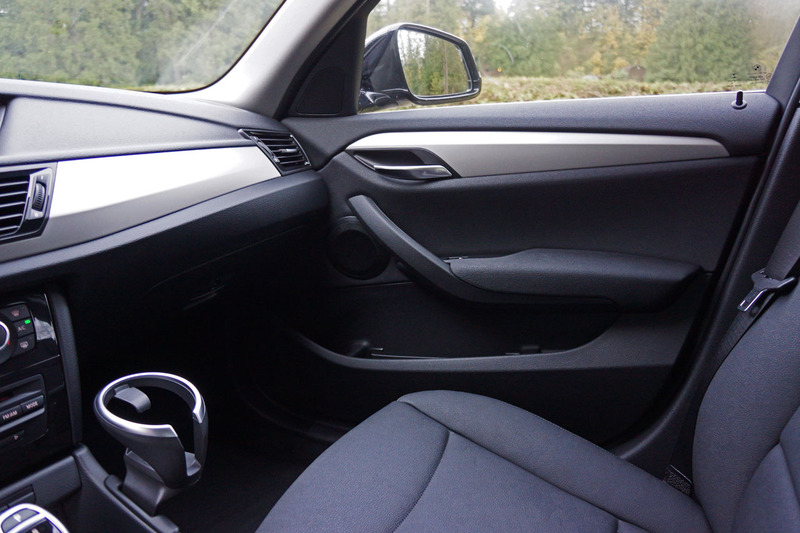 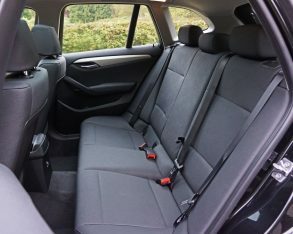 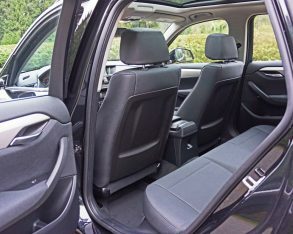 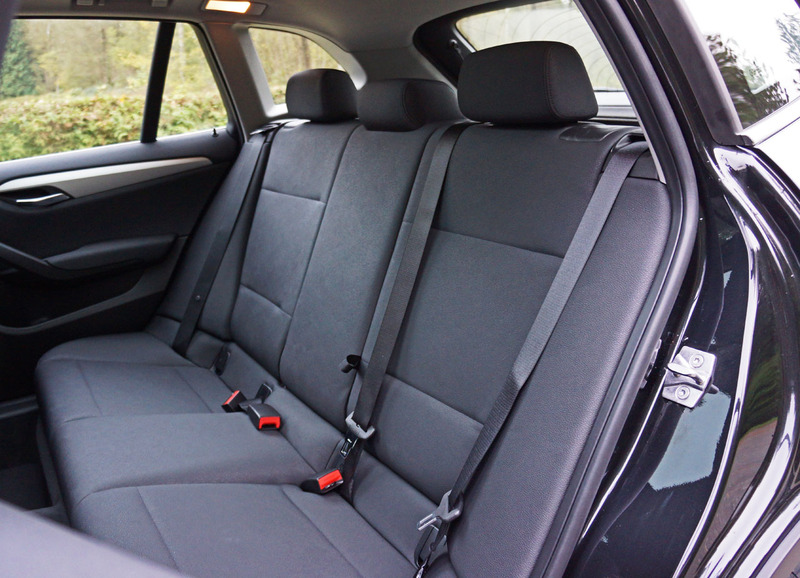 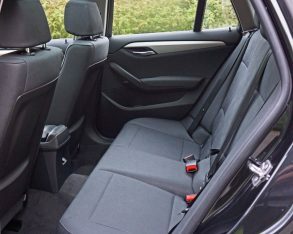 It’s purposefully compact, designed to be diminutive and therefore, while front seat room should be plentiful for most body types, rear seat legroom will feel small for larger folks, and the rear centre position, which rises up above the bucket-like outboard positions, is best left to a child. 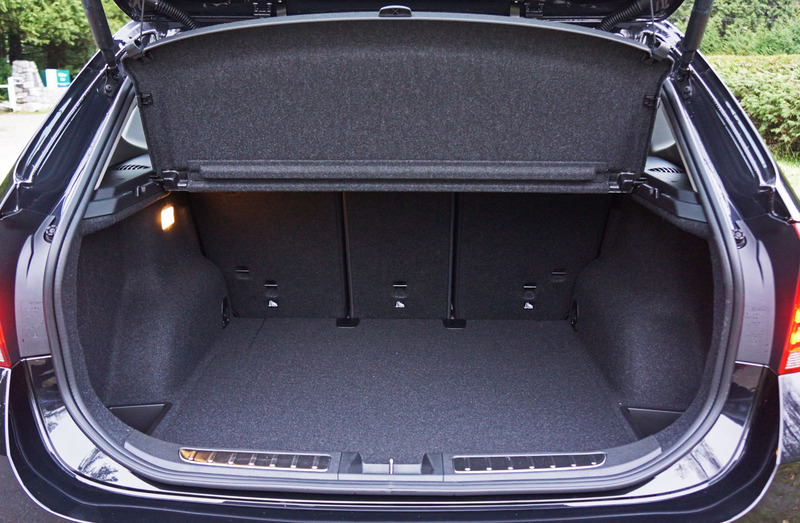 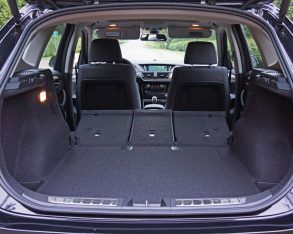 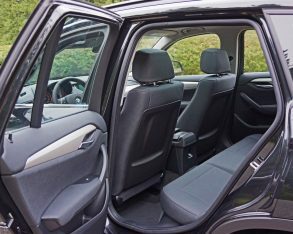 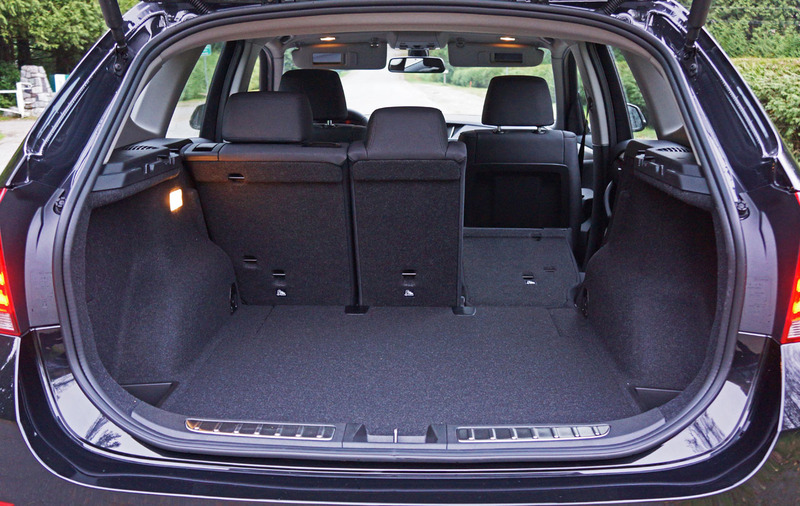 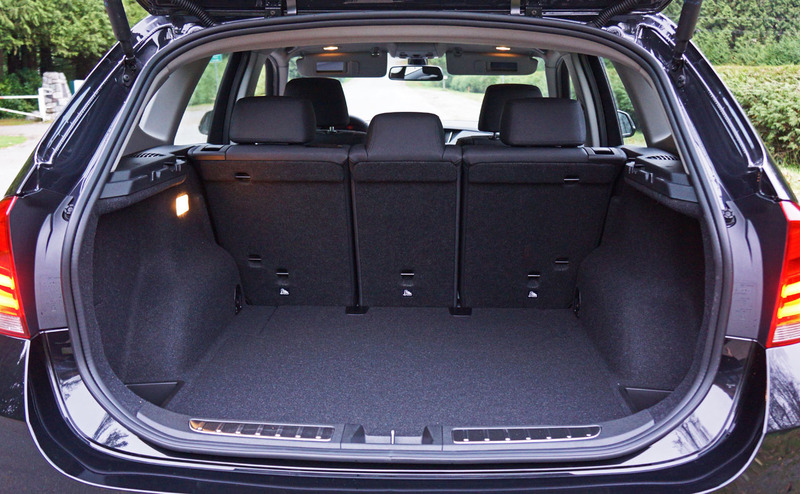 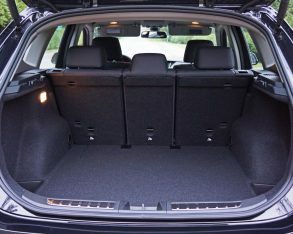 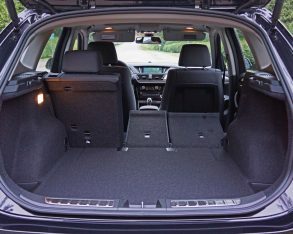 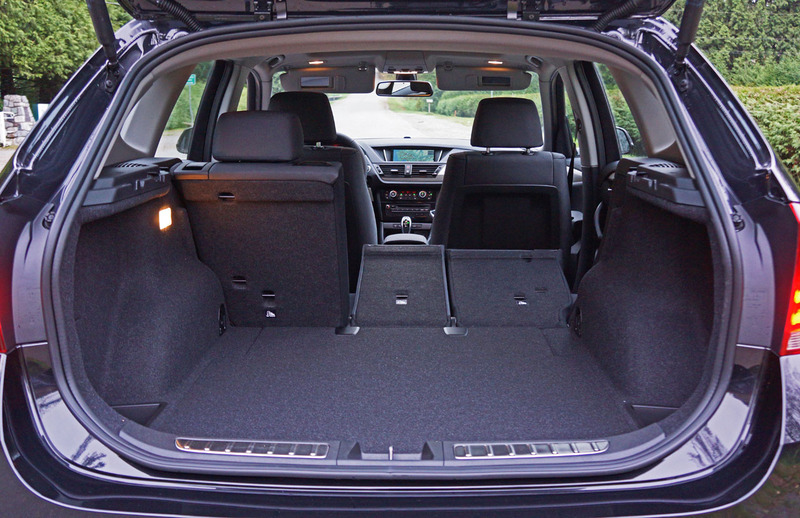 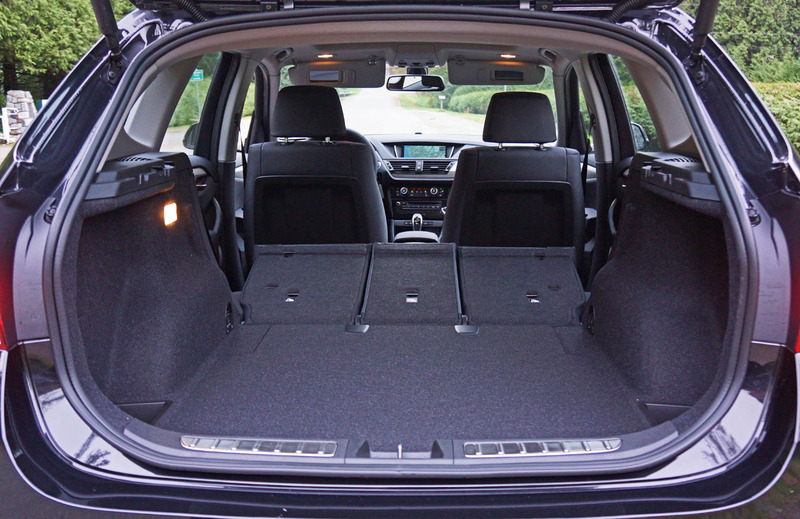 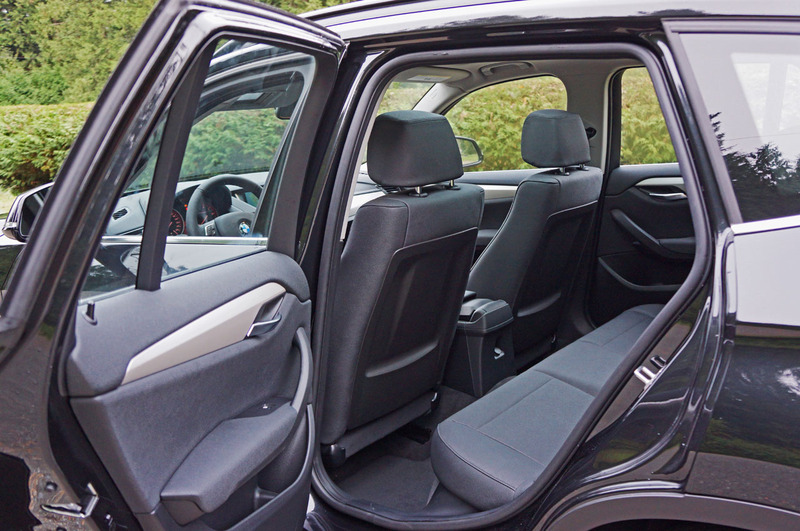 As for your gear, the X1 accommodates 420 litres (14.8 cubic feet) of cargo behind the ultimately convenient split-folding 40/20/40 rear seatbacks, and 1,350 litres (47.7 cubic feet) of space when these are completely laid flat. 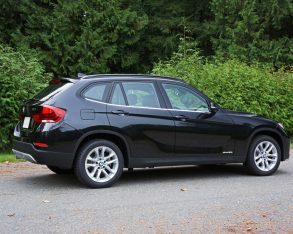 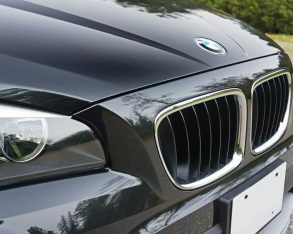 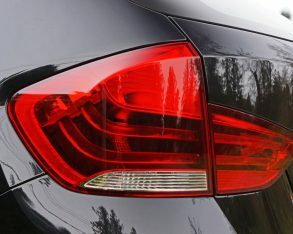 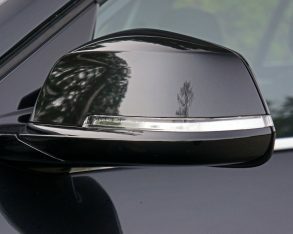 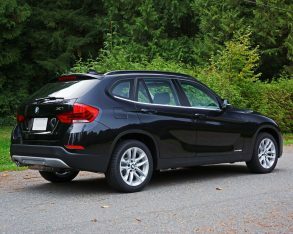 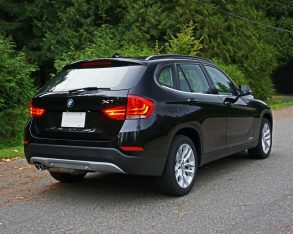 the X1 may not be as feature filled in base trim, but none of these premium wannabes drives anywhere near as well as this BMW, not to mention the X1 can be had with loads of options I haven’t yet mentioned, from proximity sensing access with pushbutton start, leather upholstery and sport seats with driver’s side memory to HID headlamps, a sport suspension plus 18- and 19-inch alloy wheels, and much more. 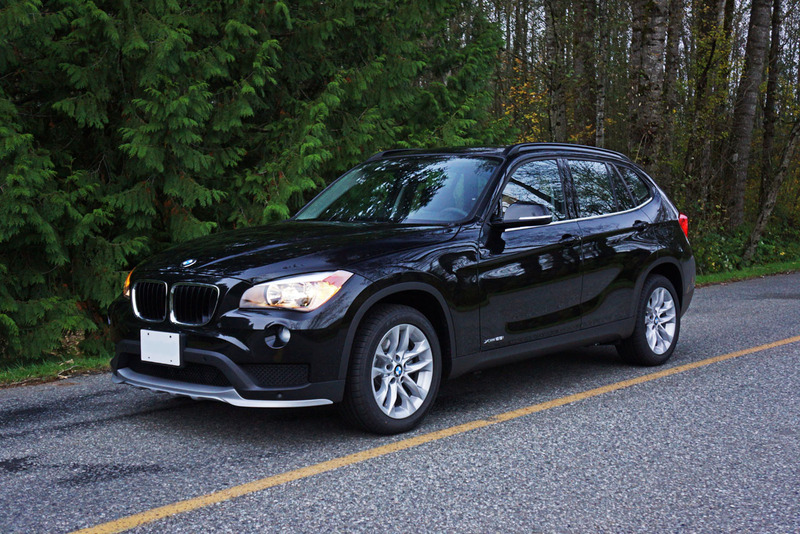 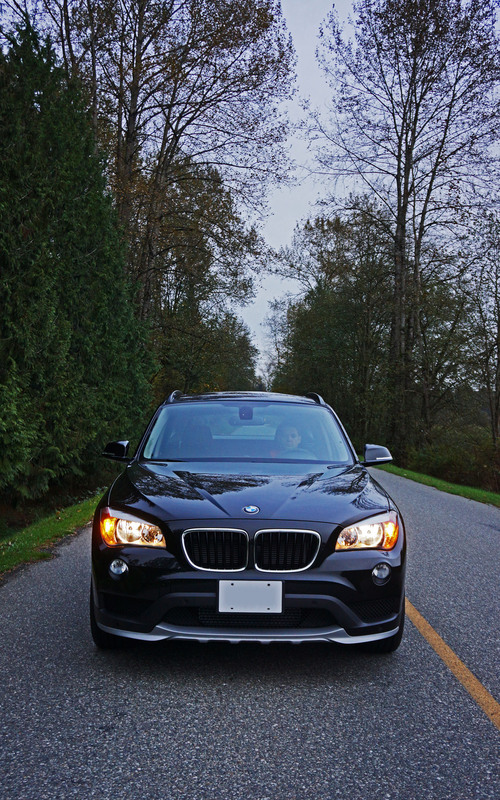 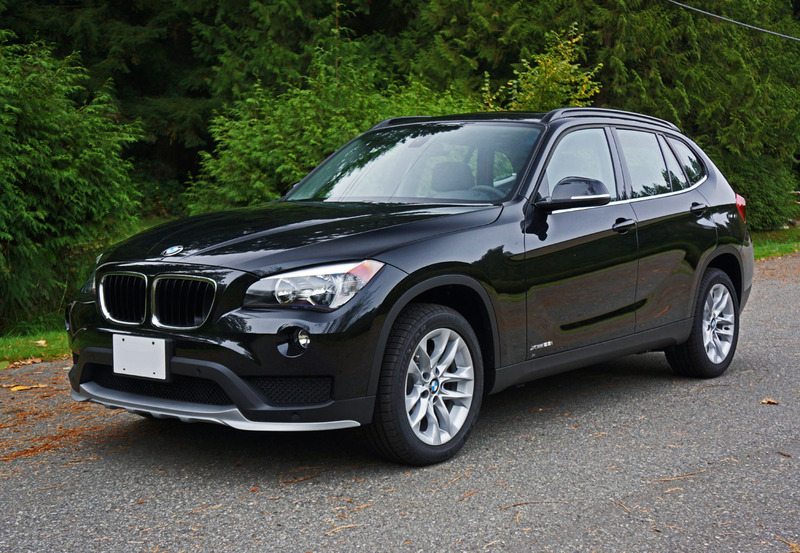 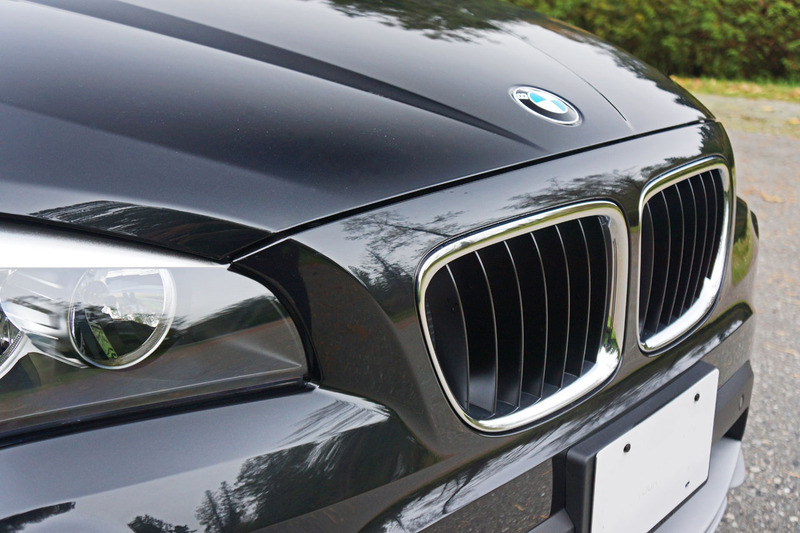 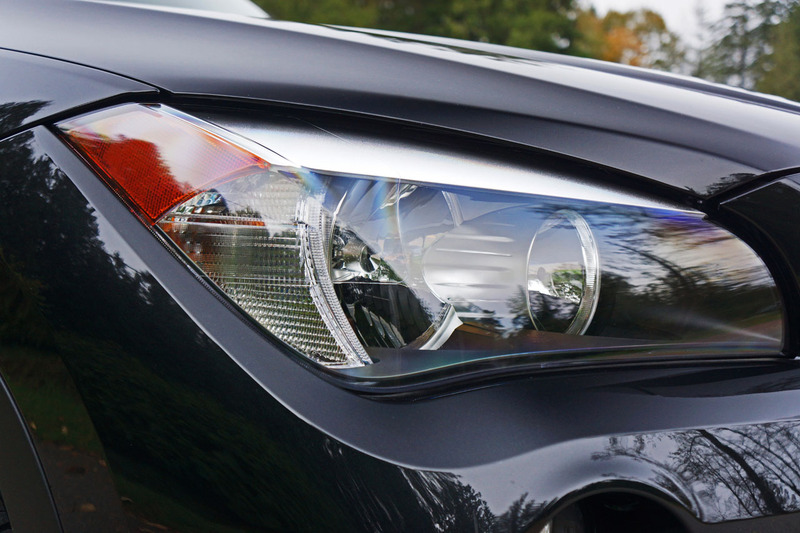 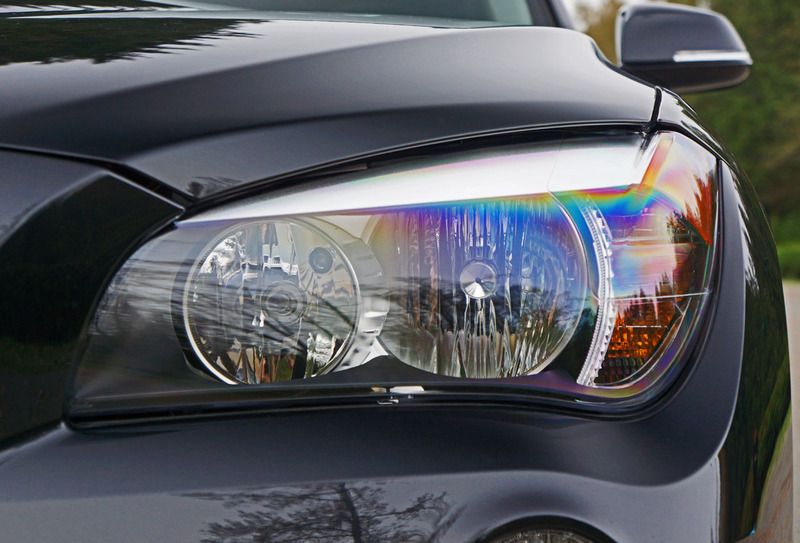 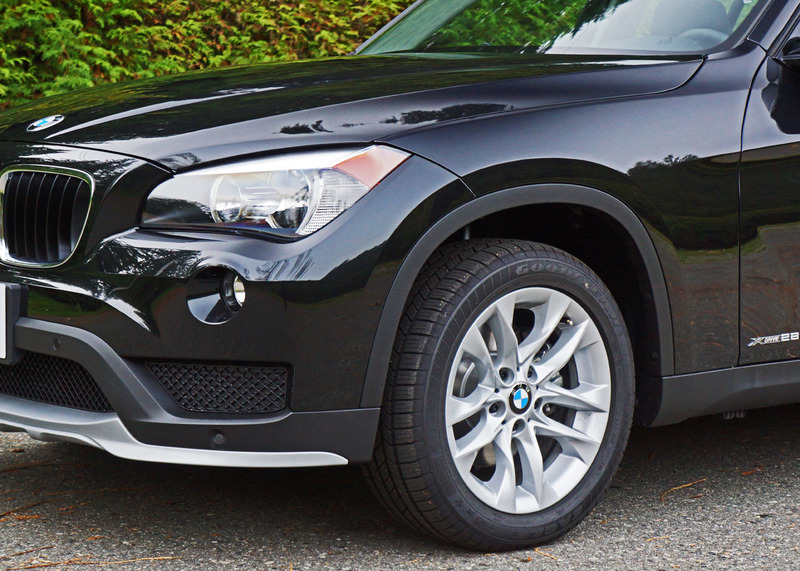 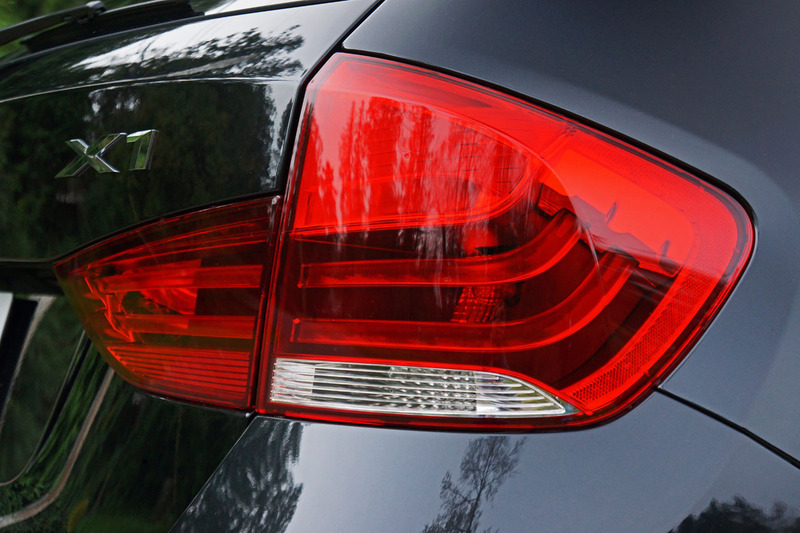 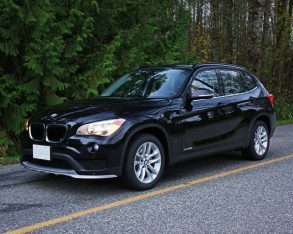 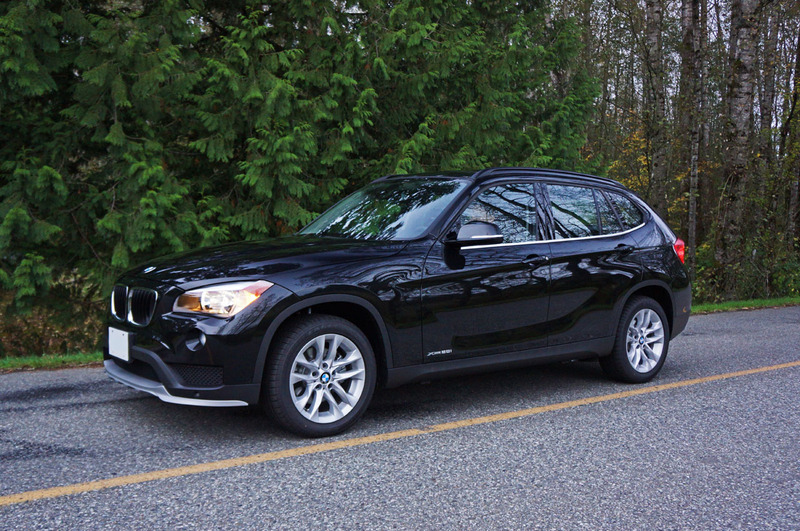 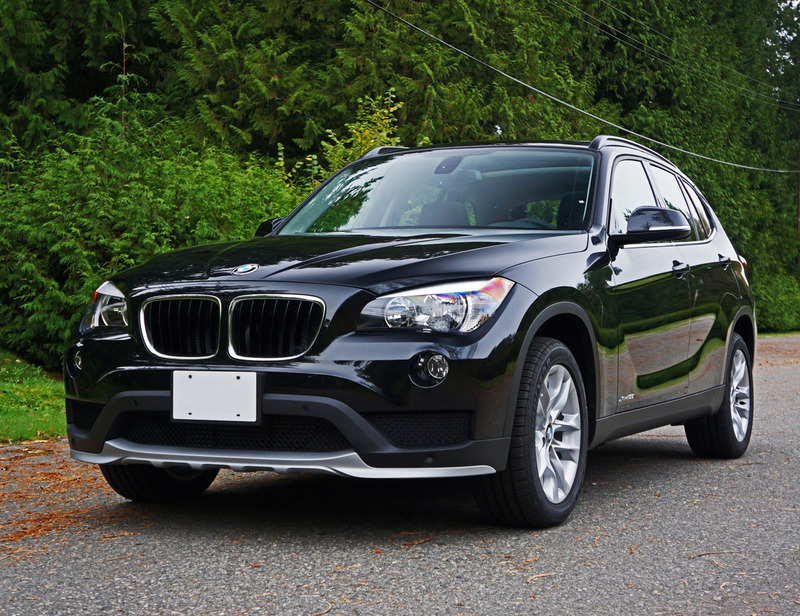 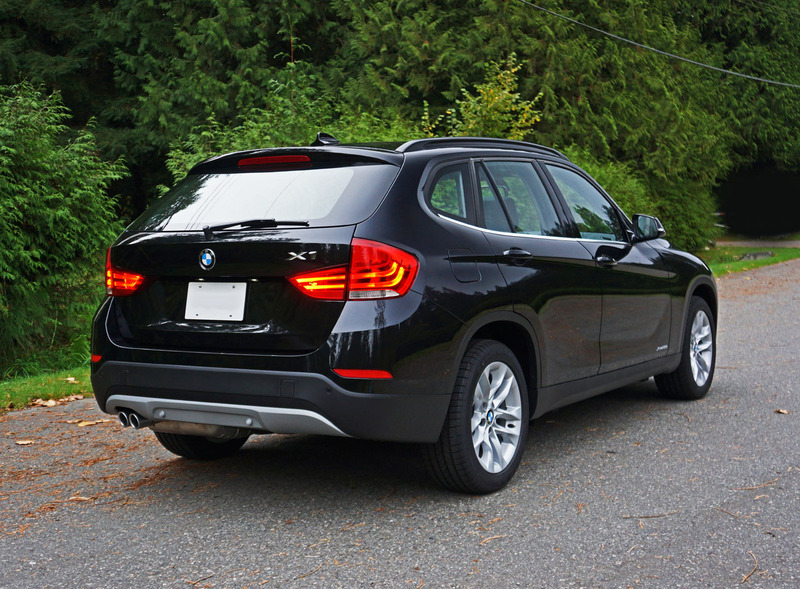 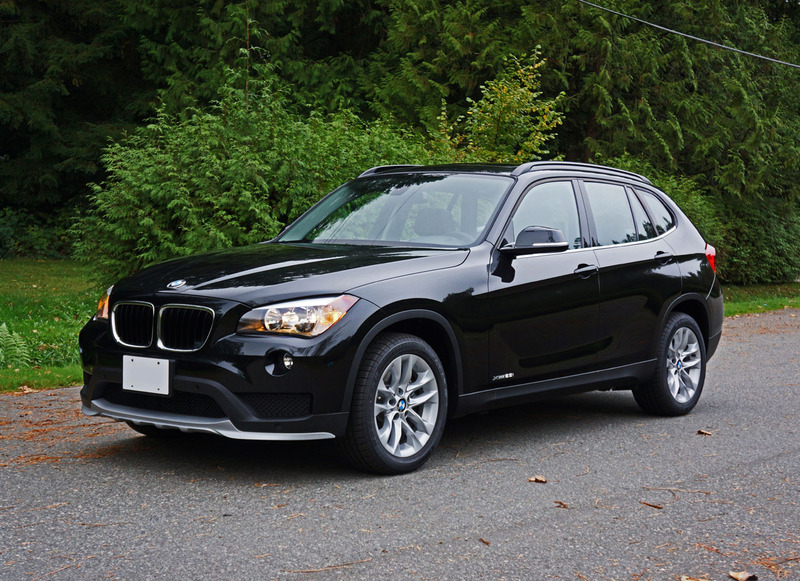 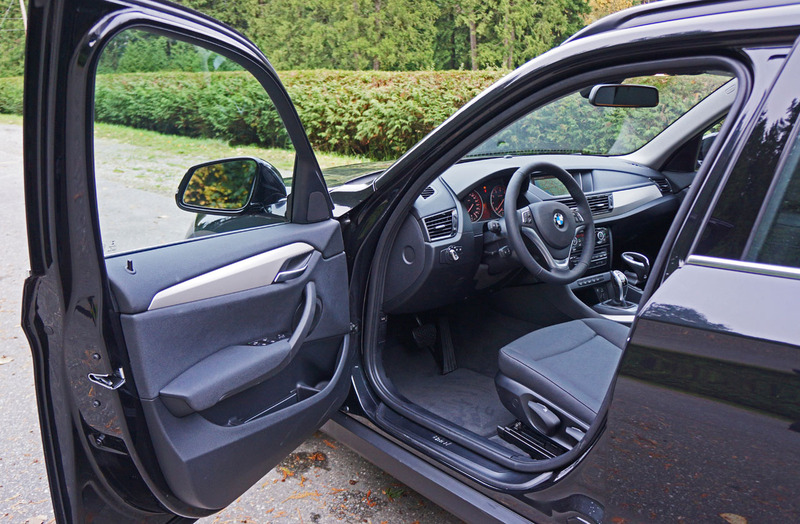 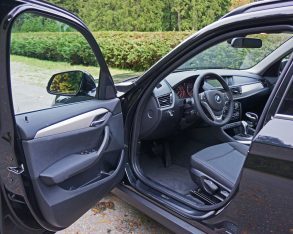 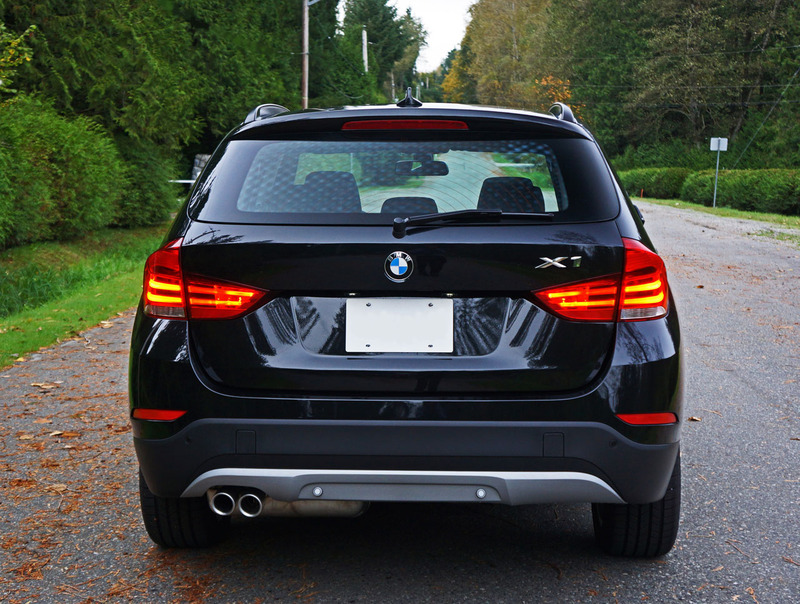 If you want a compact CUV that you’ll never get bored of, seriously consider the BMW X1.